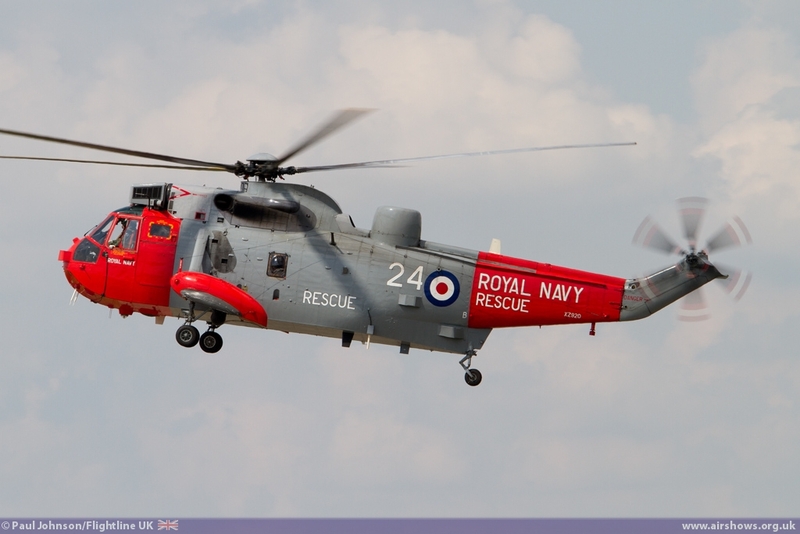 2014 has been a big year for the Royal Navy. 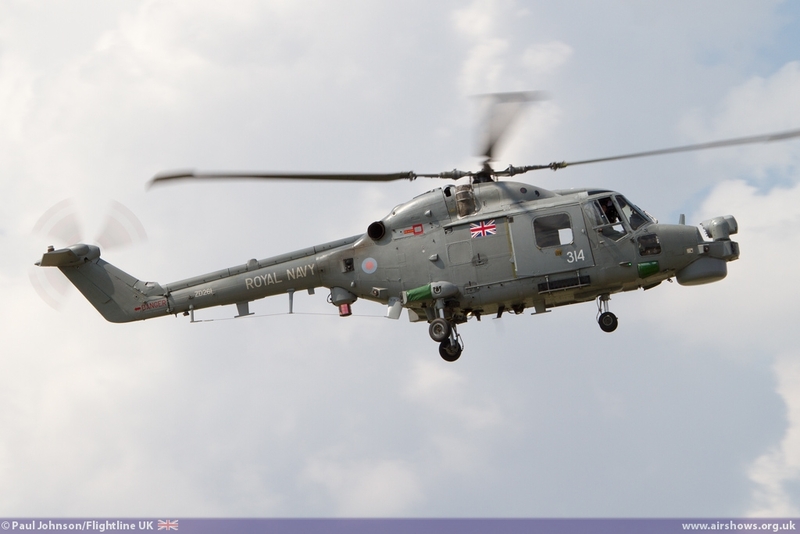 The 4th July saw the naming ceremony for the HMA Queen Elizabeth, the Navy's first of two new aircraft carriers. 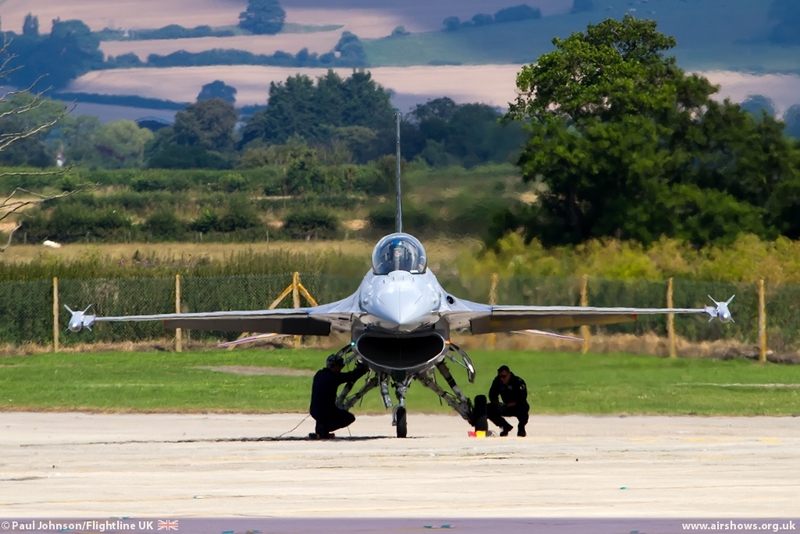 When they start flying from the ship in 2018 with the new F-35B Lightning II, it will be a significant boost to the UK's ability to project power around the world. 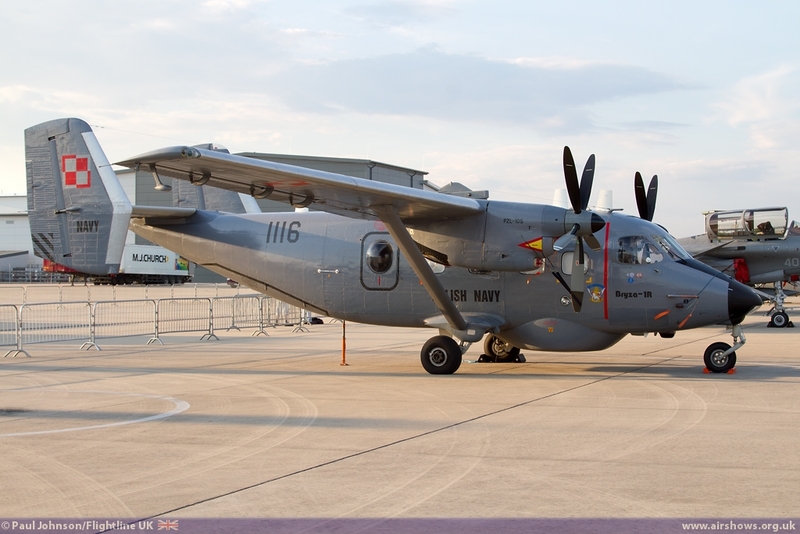 The naming ceremony has a major impact on Air Day 2014. 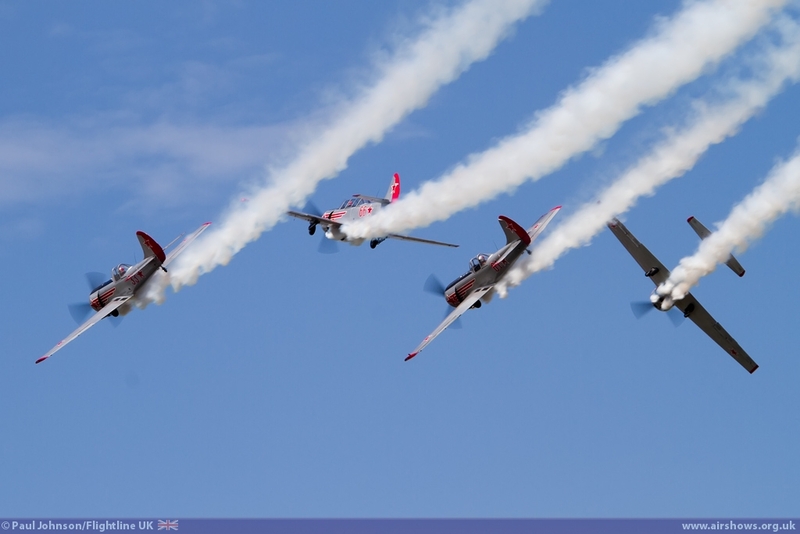 Firstly, a new date in late July was chosen so as not to clash with the ceremony and other big airshows and it also gave the show its major theme - Carrier Aviation. 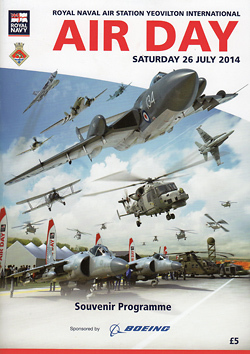 RNAS Yeovilton International Air Day is always one of the highlights of the airshow calendar. 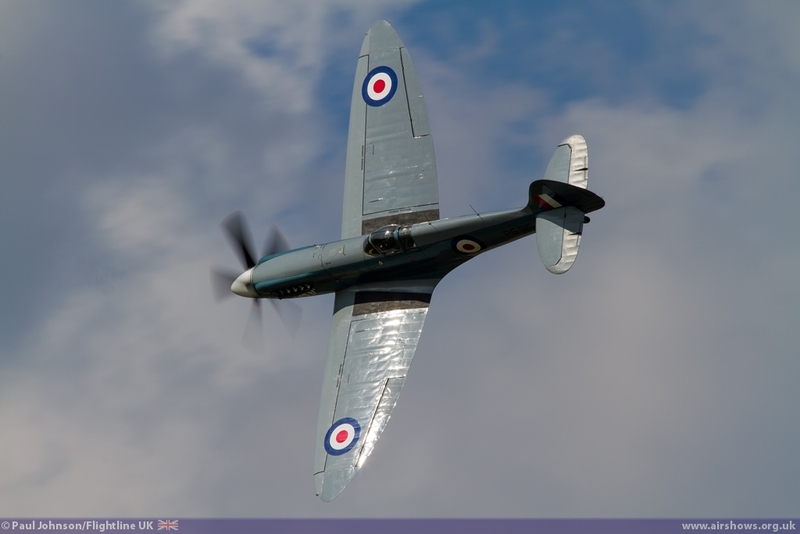 Thanks to the showmanship of the Royal Navy it includes perhaps one of the best known "finales" on the circuit and often has one or two great surprises along the way. 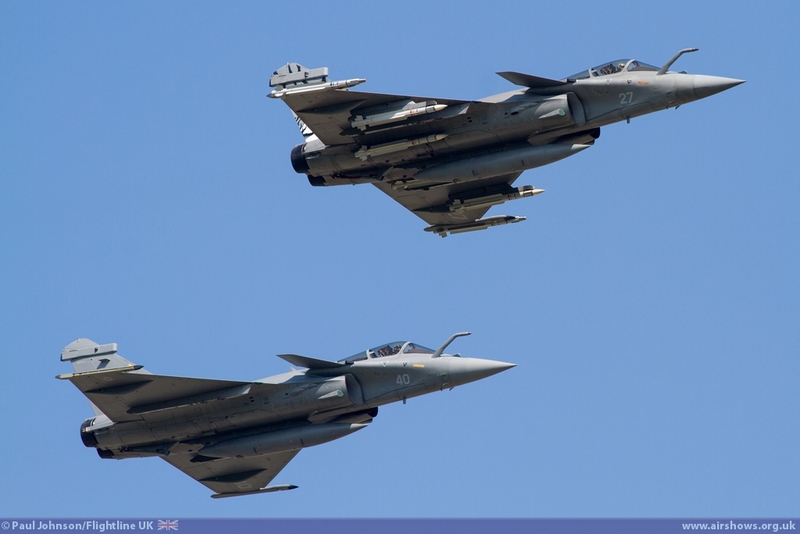 2014 though proved something of a difficult year. 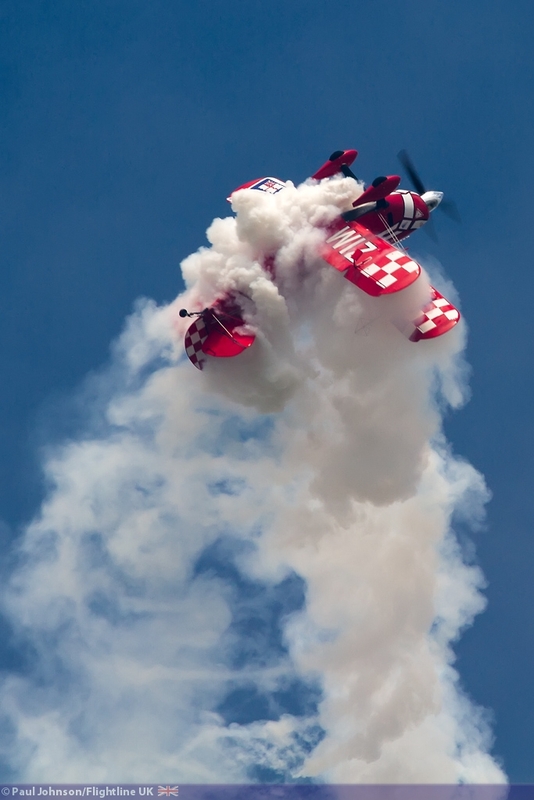 July is becoming increasingly squeezed as far as big airshows go. 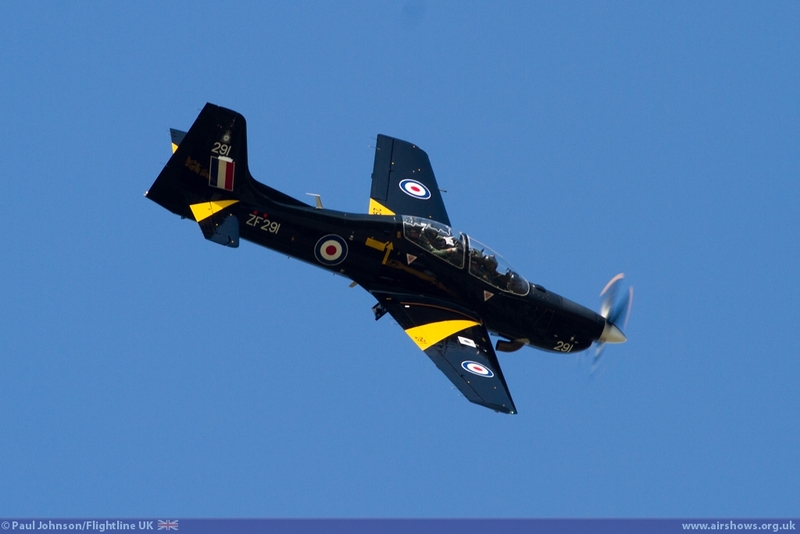 While Yeovilton avoided its usual clash with Duxford, the change of date did mean the event clashed with the Sunderland International Airshow and East Fortune's airshow in Scotland. 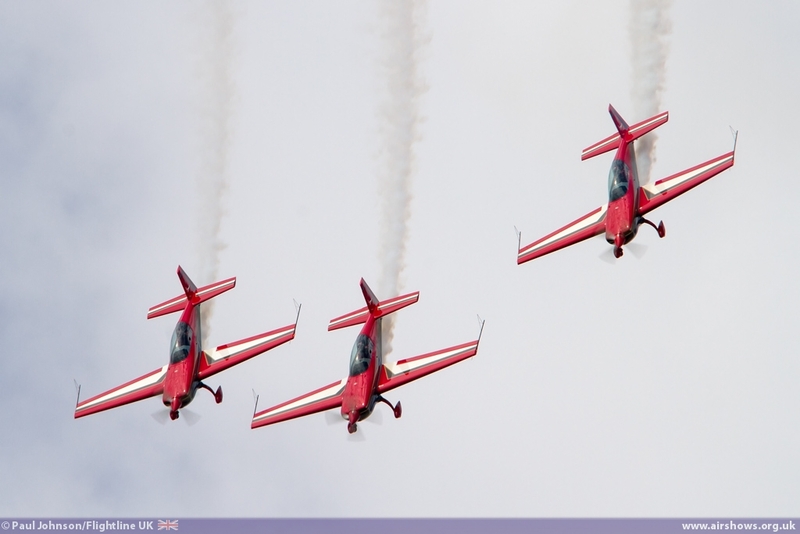 That meant there were no Royal Air Force display assets available as they all supported events in the relatively airshow-starved Scotland and North East England during the weekend. 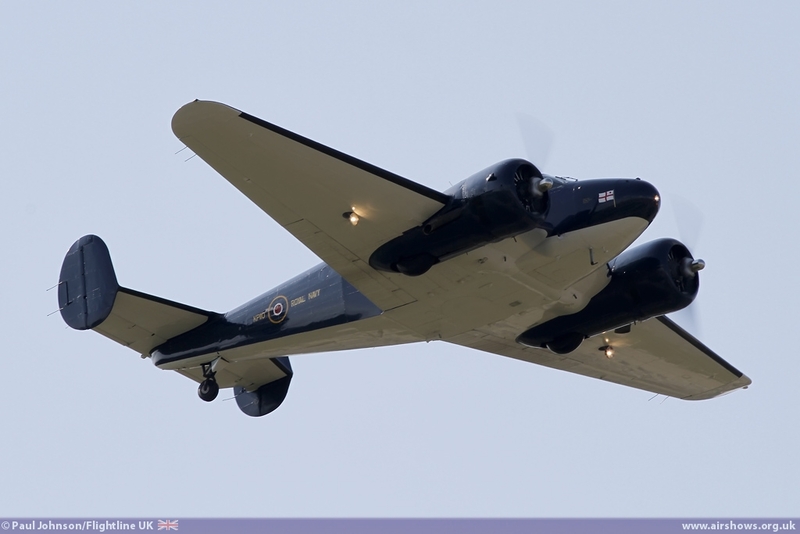 However, even without the RAF, Yeovilton did had a very credible line-up from the Royal Navy, Foreign Military and Civlian participants and the great weather in the South West ensured the event attracted a good crowd. 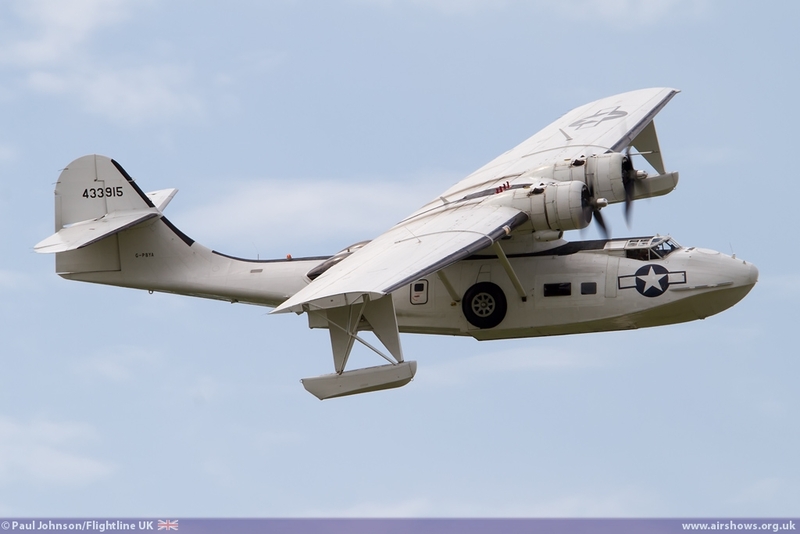 This year's static park certainly contained a few gems. 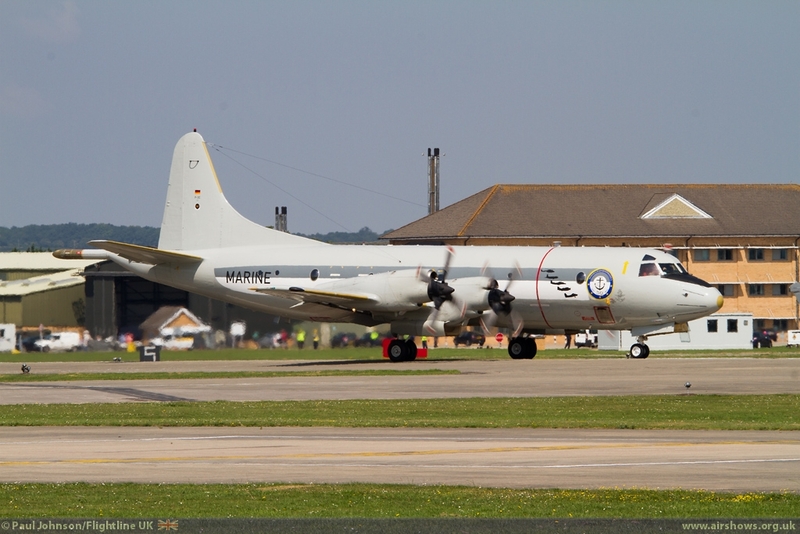 The German Navy were perhaps the prolific attendees this year with their specially marked Lockheed P-3C Orion dominating the showground. 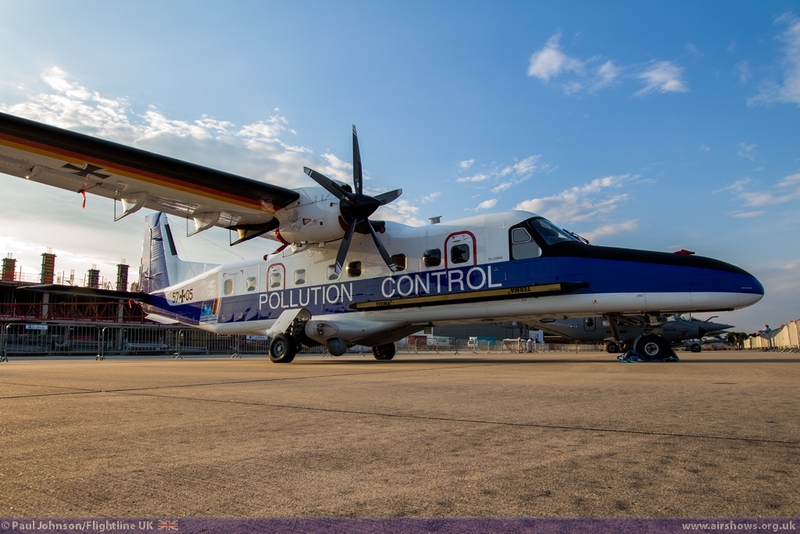 It was joined by the brightly coloured Pollution Control Dornier Do228NG. 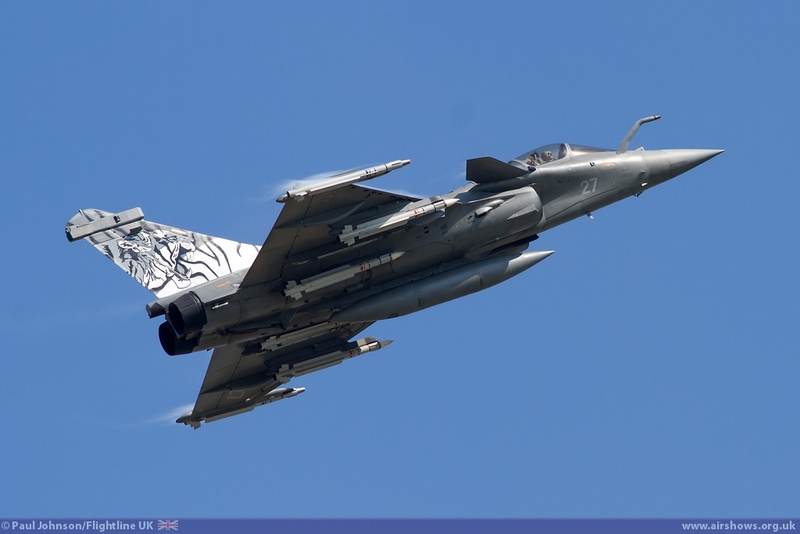 However, stars of the static displays were the French Navy which were making their only UK appearance of the year at Yeovilton. 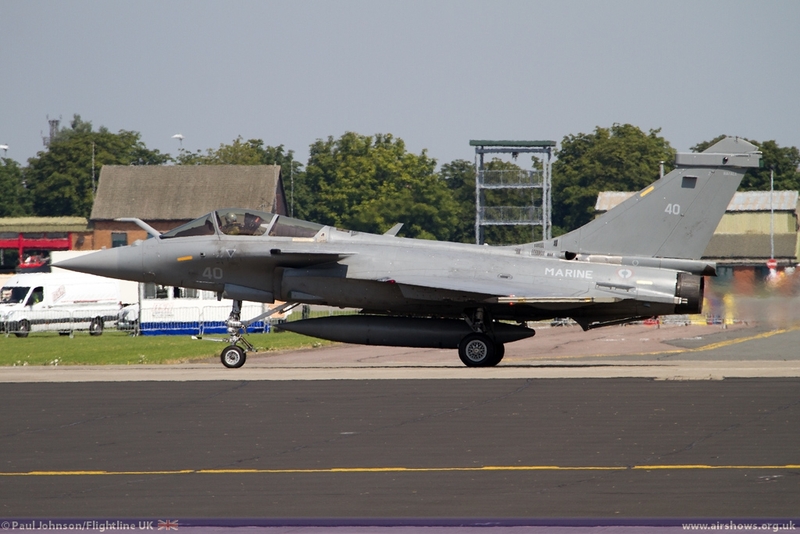 Arriving on the Friday before Air Day were a pair of Dassault Rafale Ms from 11F at Landivisiau, one of which carried special "Tiger" markings. 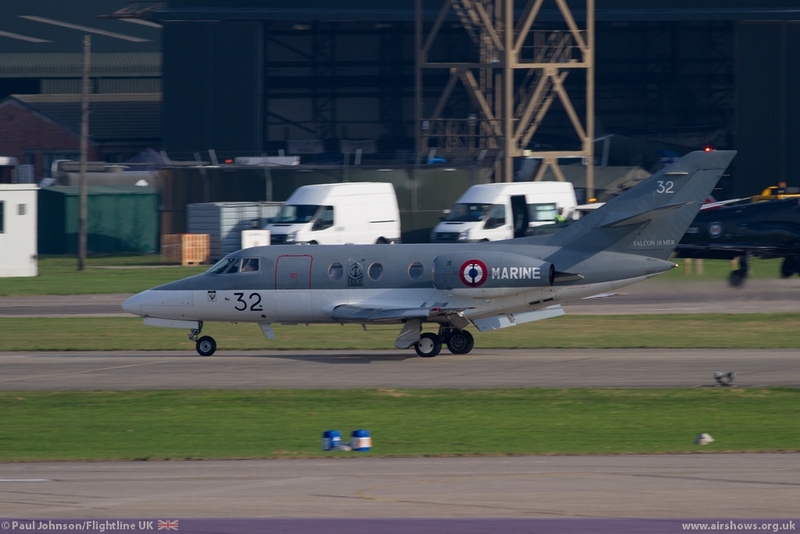 Arriving very early on the morning of Air Day was a Dassault Falcon 10MER to complete the French contingent. 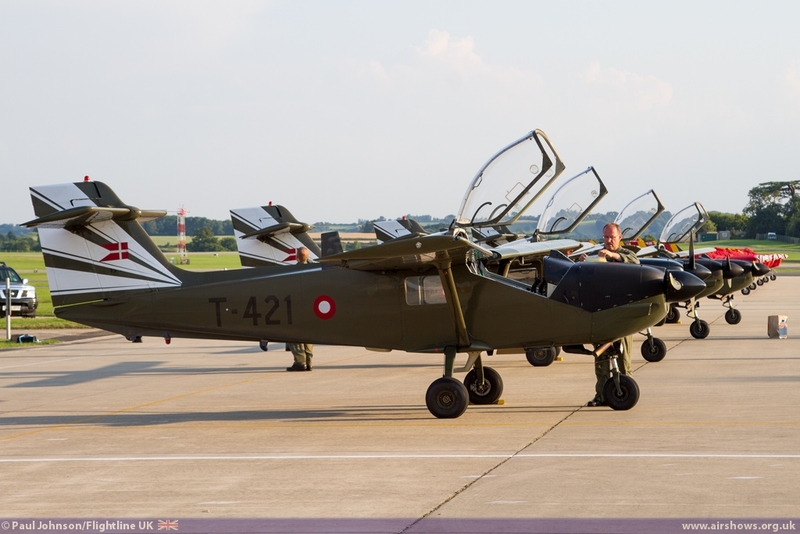 One further international naval type on display was the Polish Navy PZL M28-1R Bryza martime patrol aircraft. 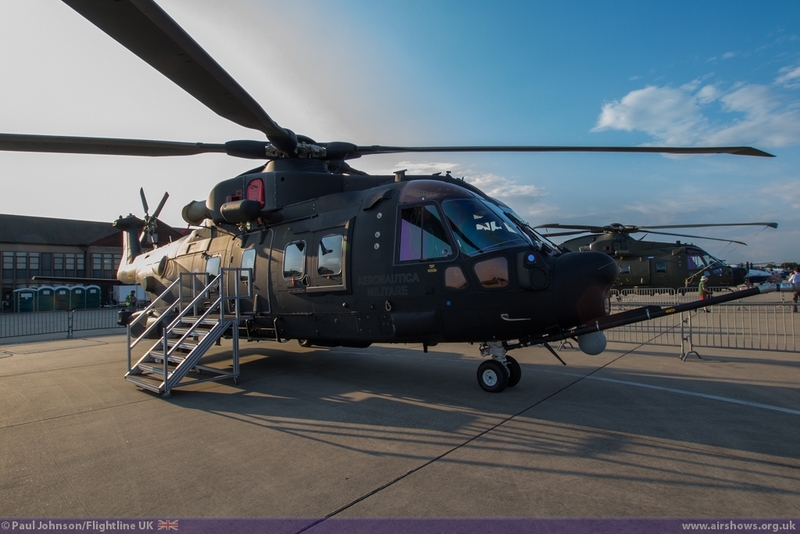 Completing the international line-up in the static park was an Italian Air Force AgustaWestland HH-101A Caesar Combat Search and Rescue helicopter. 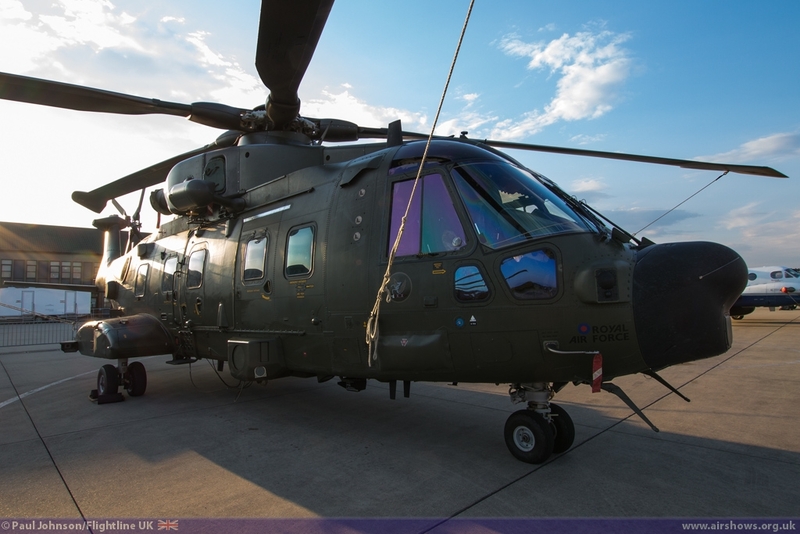 One of the first pair of the type completed at the nearby AgustaWestland Factory in Yeovil, these purposeful looking variants of the Merlin are currently under test prior to delivery and wear UK military serials. 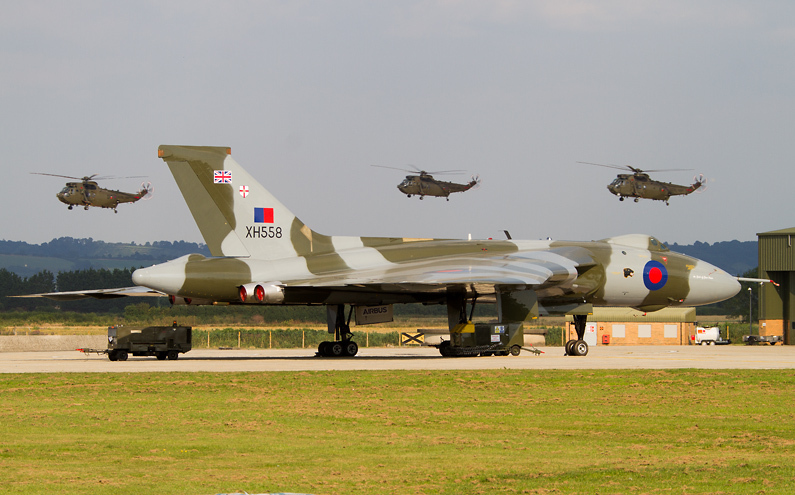 The Royal Air Force did put in a few types for static display. 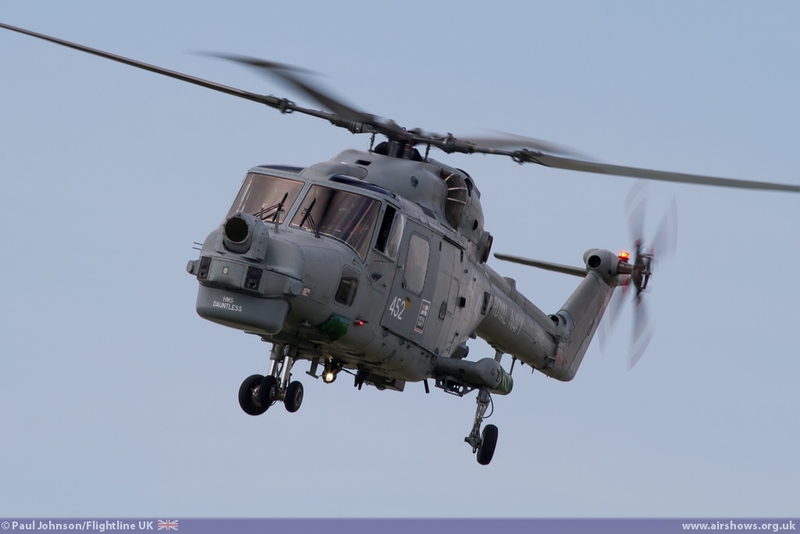 Alongside the Italian Merlin was one of the RAF Merlin HC3As based at RAF Benson. 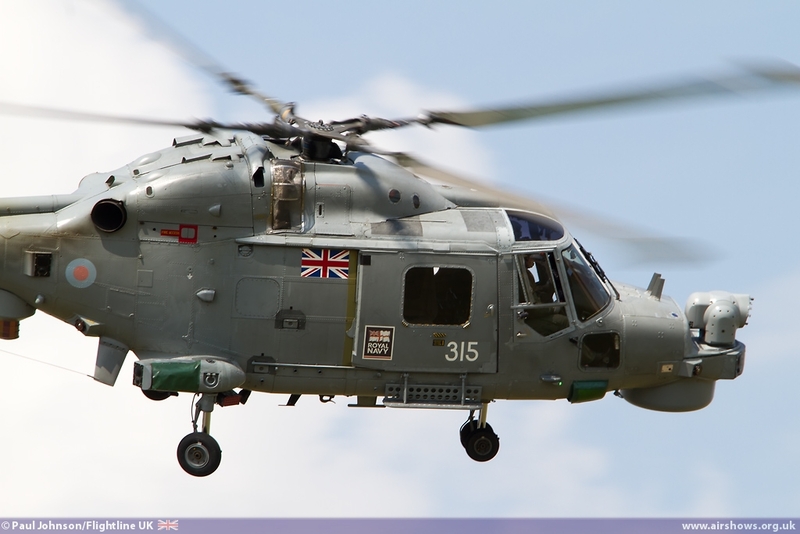 These helicopters are soon to transfer to the Royal Navy to replace the aging Sea King HC4. 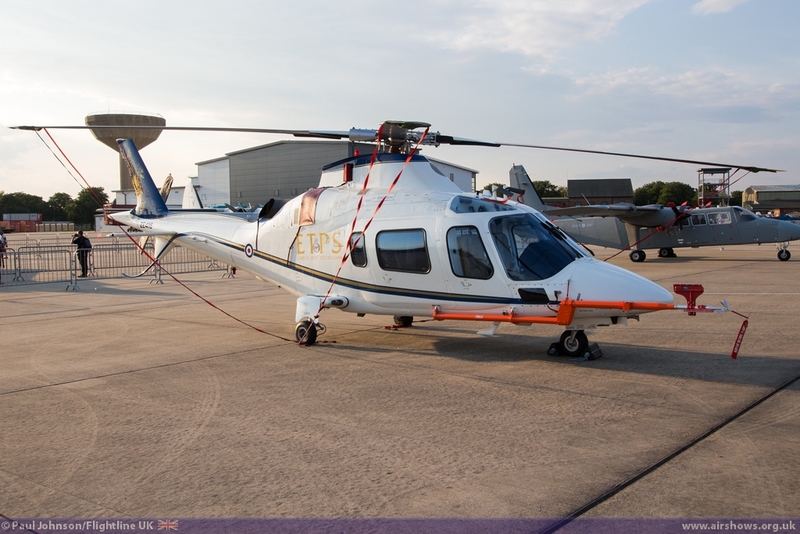 Once transferred, they will be modified with folding tail rotors and other modifications to make them suitable for naval and commando support operations. 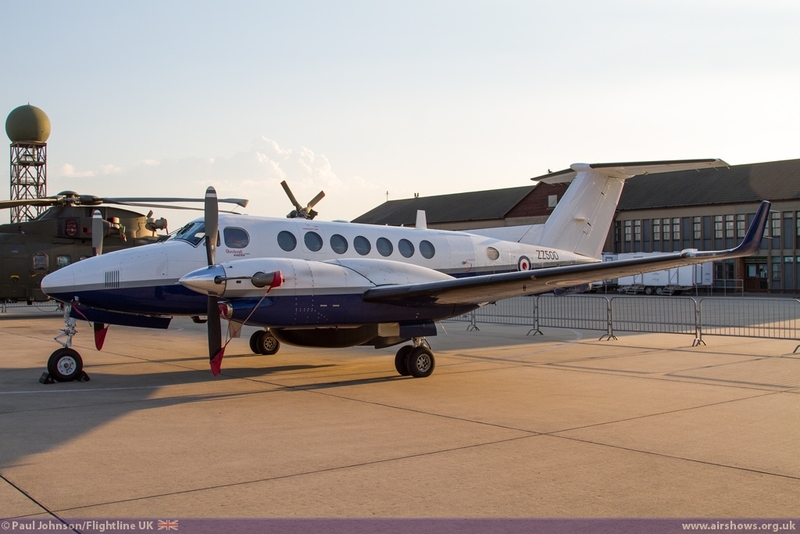 Further RAF assets on static display included the Squirrel HT1 and Griffin HT1 from RAF Shawbury plus a 72[R] Squadron Tucano T1 and a 45[R] Squadron King Air. 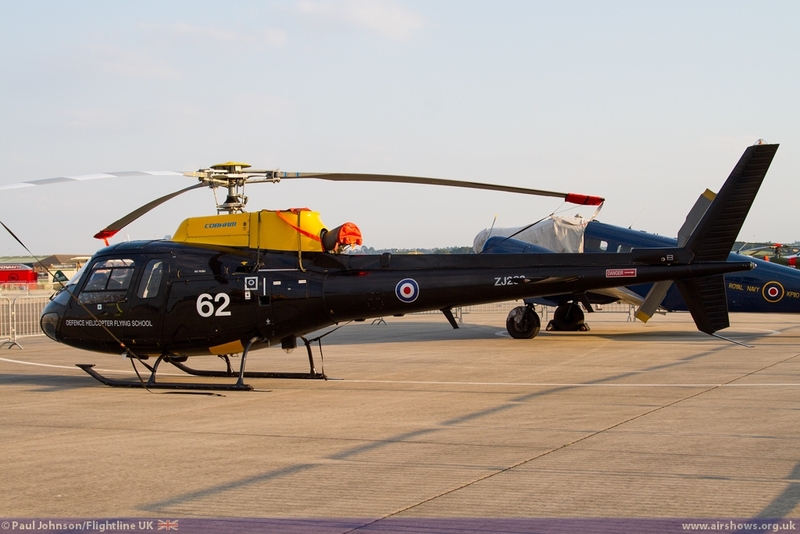 The Army Air Corps were also present with a Yeovilton based AgustaWestland Wildcat AH1 and a Britten Norman Defender AL1. 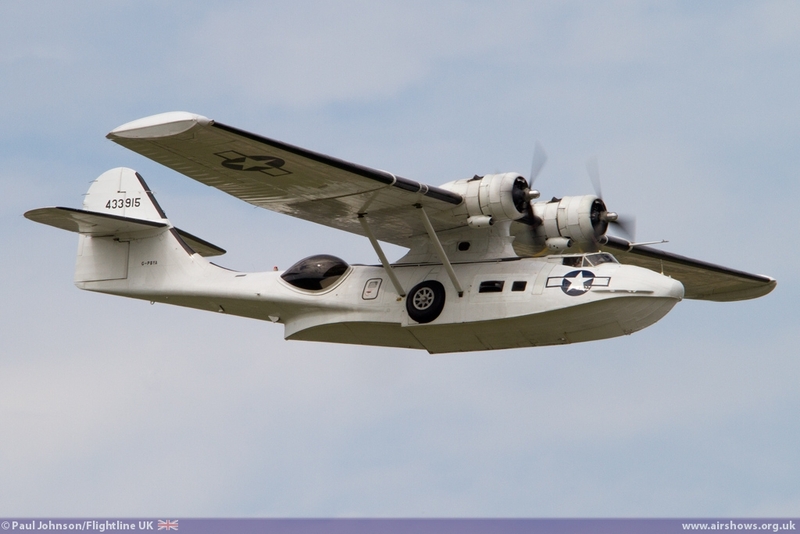 As always, there were plenty of civilian aircraft on static display. 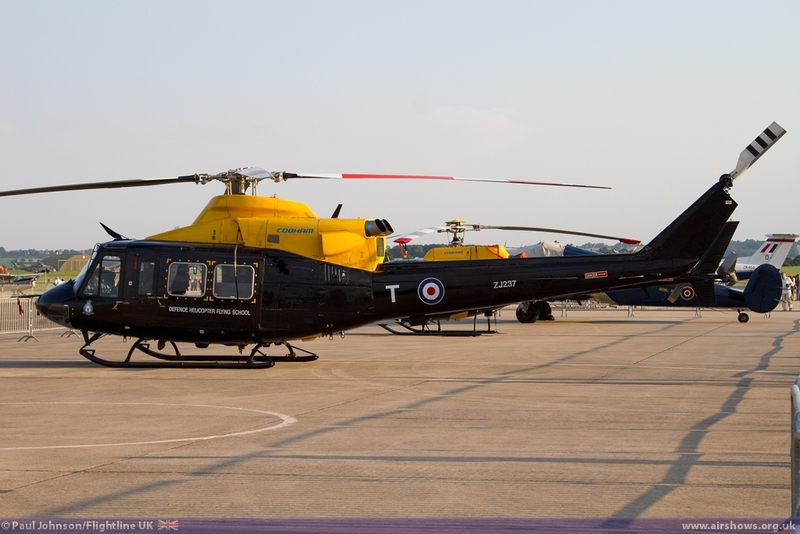 The Gazelle Squadron is certainly manage to attend many events this year in support of BLESMA and formed part of the static park near to the current military training helicopters. 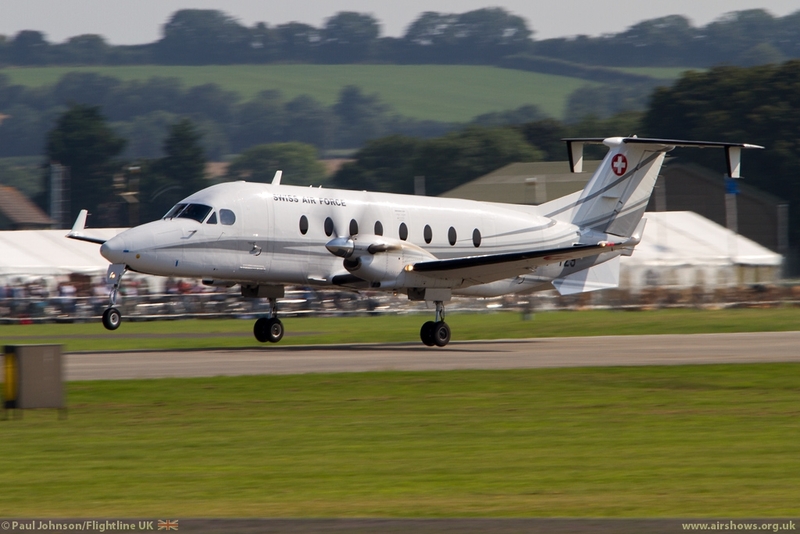 The Pericival Pembroke C1 WV740 was another historic machine on static. 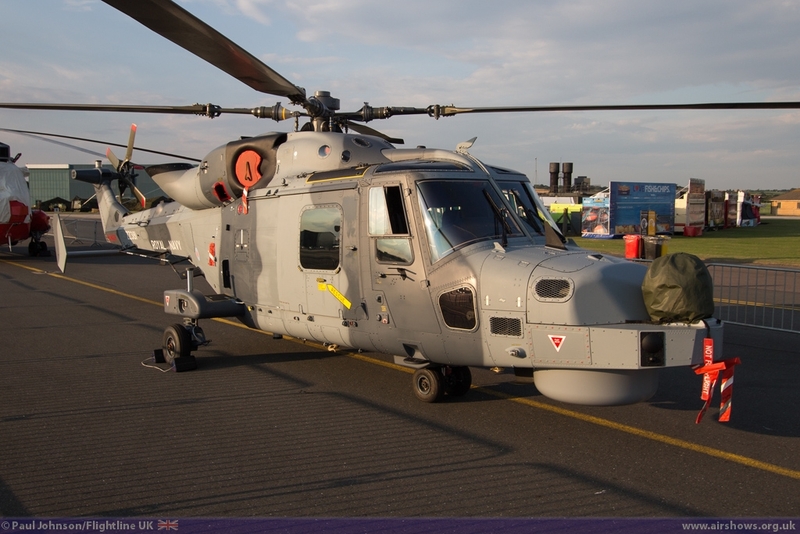 The centrepiece of the static display was Royal Navy machinery. 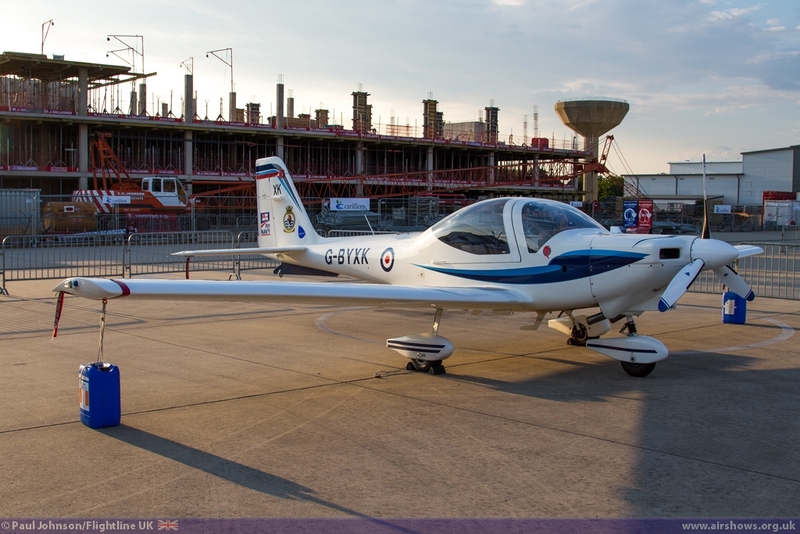 At various points across the showground, a broad cross section of modern day navy aircraft were on show including the Grob Tutor T1, Beechcraft Avenger T1, Westland Sea King HU5, Westland Sea King HC4, Westland Merlin HM2, Westland Lynx HMA8 plus the AgustaWestland Wildcat HMA2. 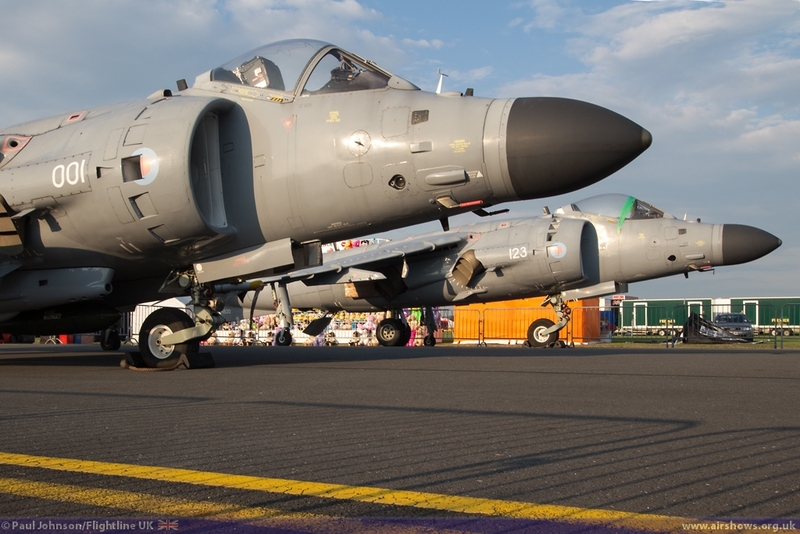 Recent Fleet Air Arm history was also on show with a pair of BAE Systems Sea Harrier FA2s and the recently restored Hawker Hunter PR11. 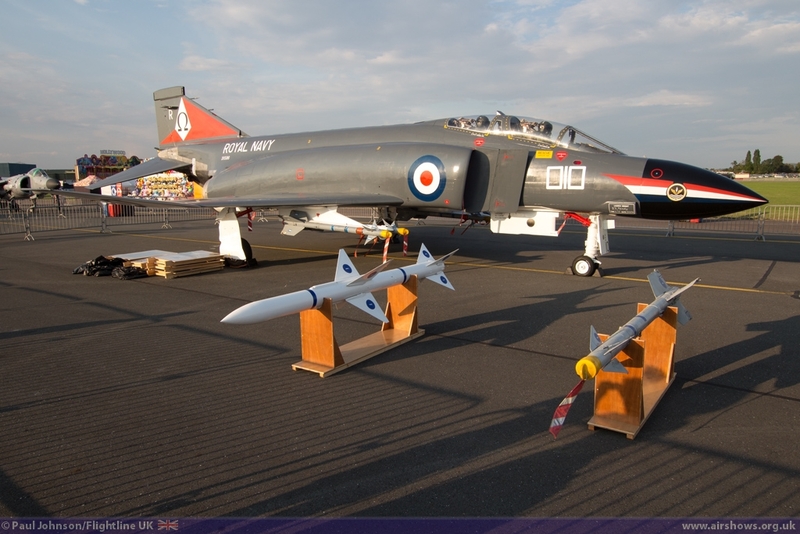 However, the star was Yeovilton based McDonnell Douglas F-4K Phantom II which has recently been painted in the very pretty colours of 892NAS when it was embarked on HMS Ark Royal. 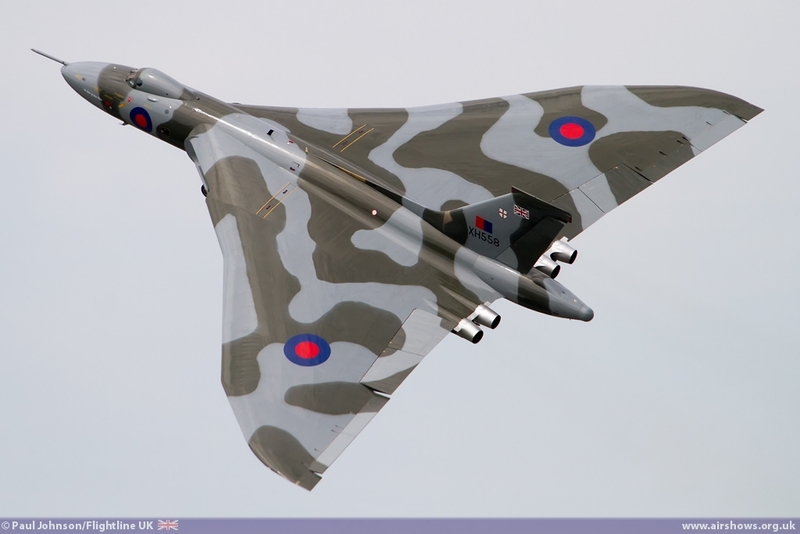 Displayed with examples of the AIM-9 Sidewinder and Skyflash missiles, it was fitting tribute to the last period the Royal Navy operating big flat-top carriers. 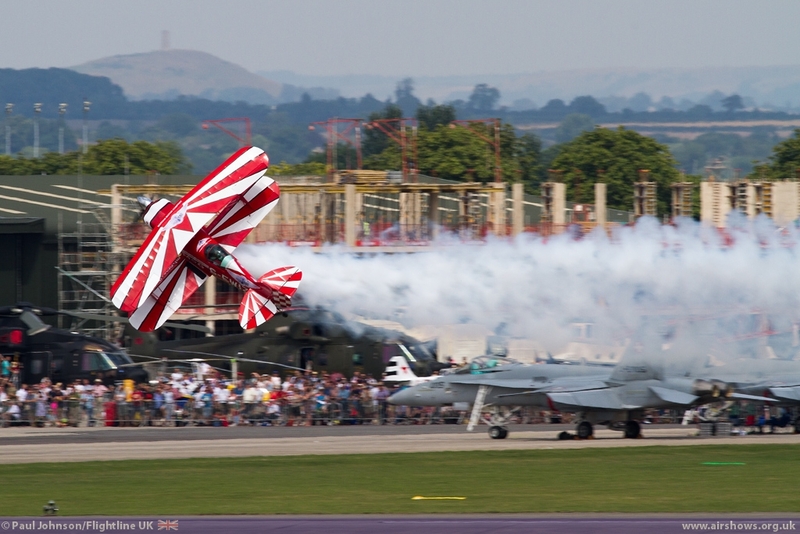 Yeovilton's flying displays are always an incredible mix of international military and civilian displays. 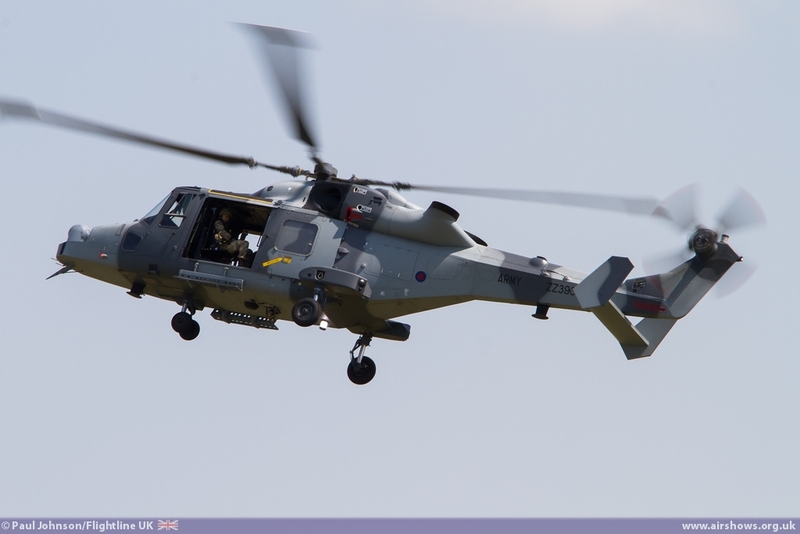 For the second year running, Yeovilton enjoyed some very favourable weather conditions and very warm temperatures. 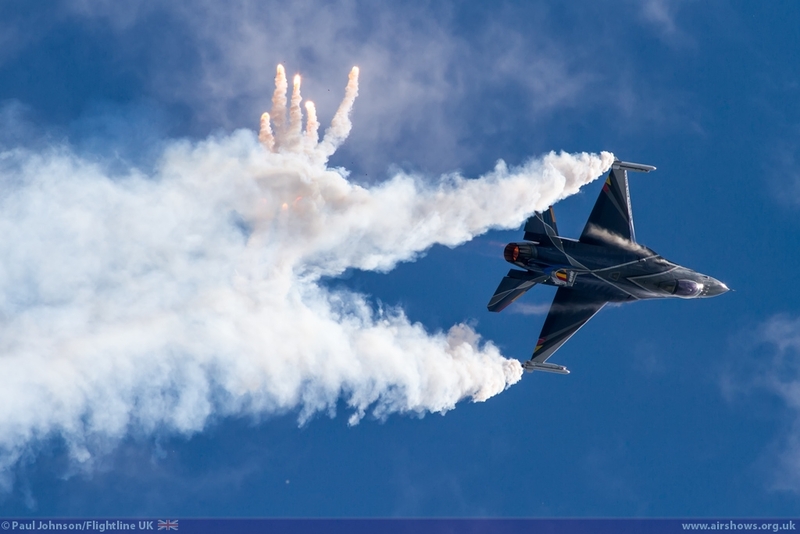 In the run up to and during the event itself there was a lot of chopping and changing in the flying display due to unservicabliity. 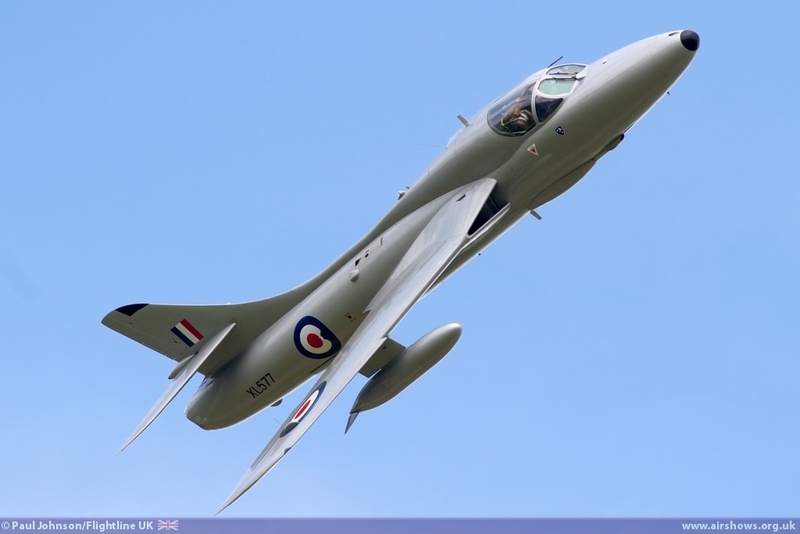 Perhaps most disappointing was the loss of DS Aviation's Sea Vixen FAW2 following engine and fuel system problems at RAF Leuchars which came about in the days leading up to the show. 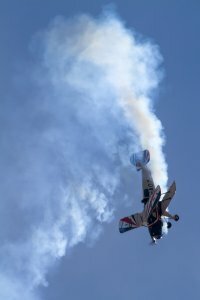 The Great War Display Team were also early cancellations with some of their aircraft suffering damage during the hail and rain showers during their appearances at Farnborough Airshow. 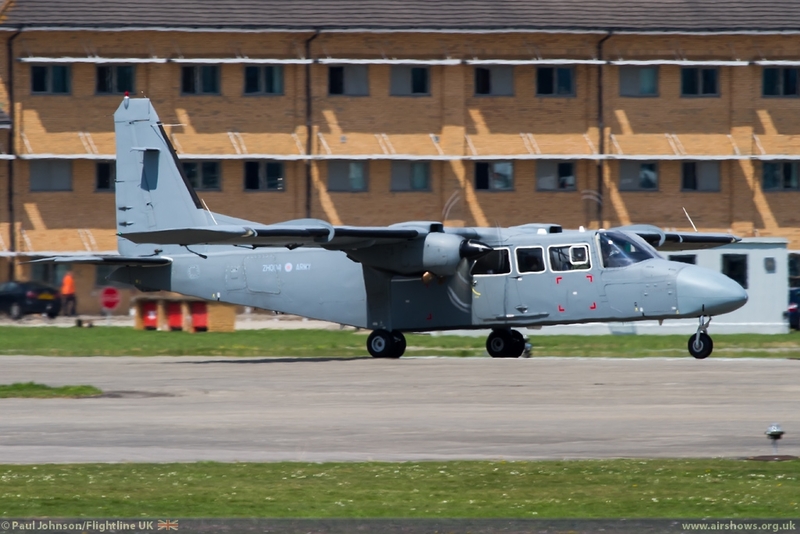 On the day, Midair's Canberra PR9 plus the RAF Chinook and Royal Navy Merlin displays also got scrubbed due to aircraft being unserviceable! 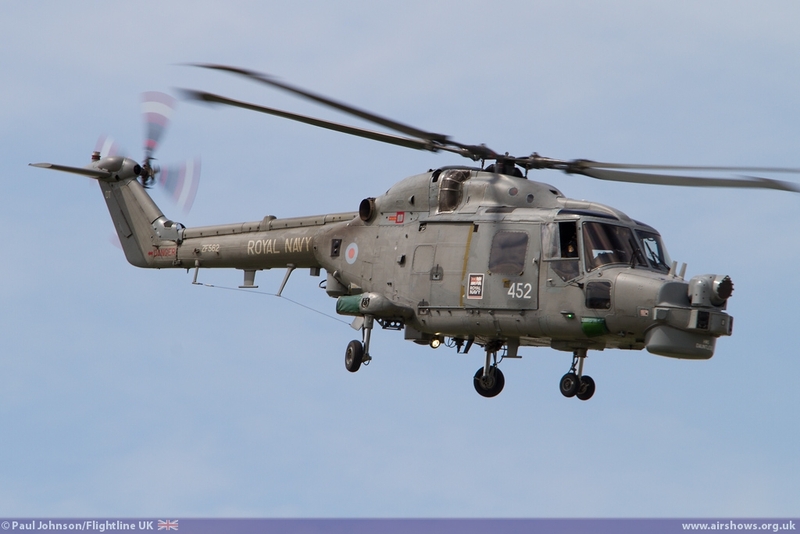 It was a rotten string of luck for the Yeovilton but to their credit, many of the holes were filled where possible. 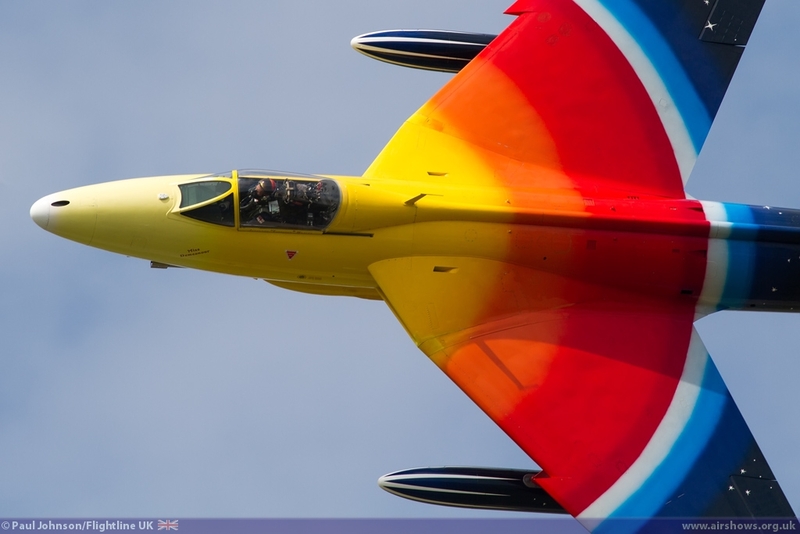 Special mention should be made of Jonathon Whaley and his Hawker Hunter F58a Miss Demeanour. 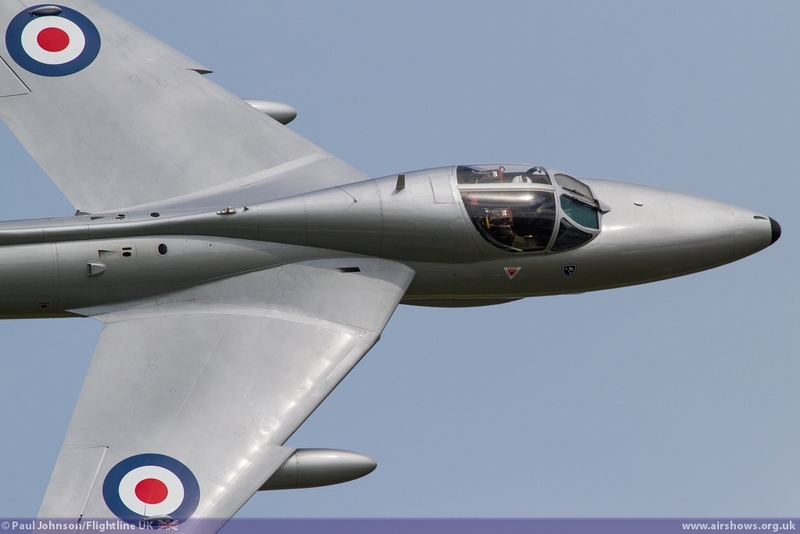 Drafted in to replace the Sea Vixen, Jonathon's display proved to be one of the highlights of the airshow. 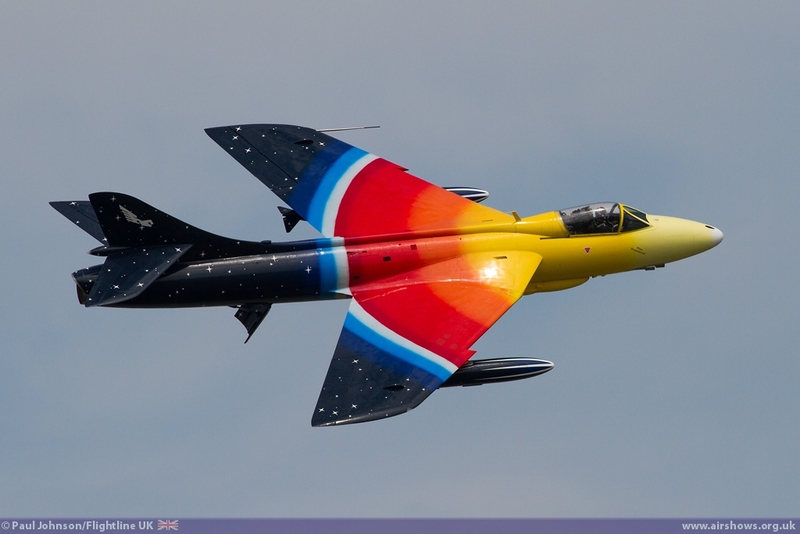 It was amazing to consider this was Jonathon's first public display at Yeovilton in Miss Demeanour considering he had been based at Yeovilton while flying the Sea Vixen in service. 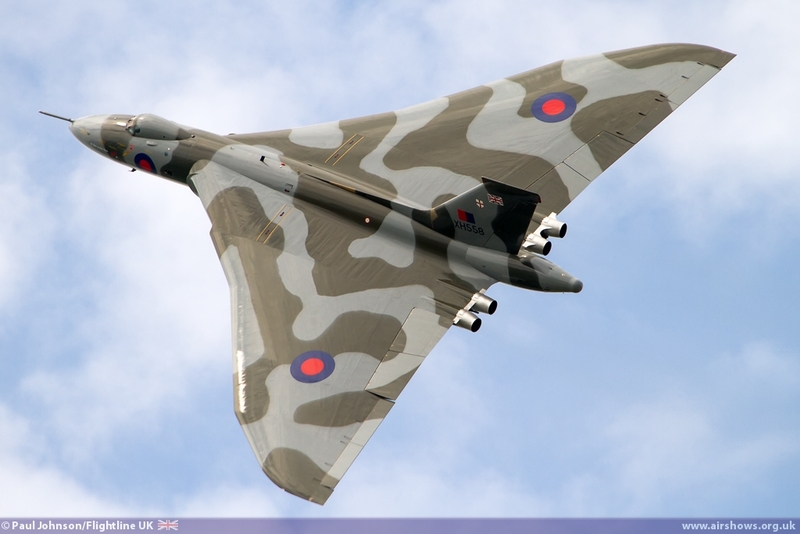 It certainly seemed as though he enjoyed displaying over the Somerset base. 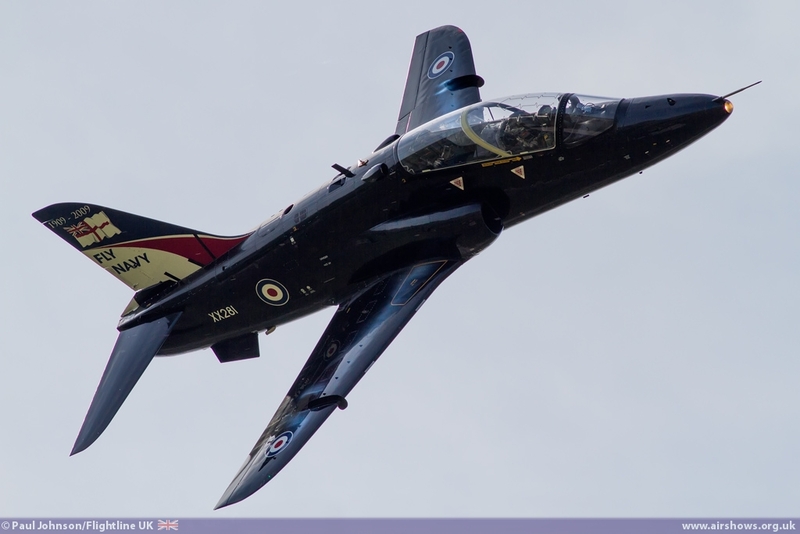 Further Hunter displays came from the Midair Squadron's Hunter T7 which gave a solo display in the morning. 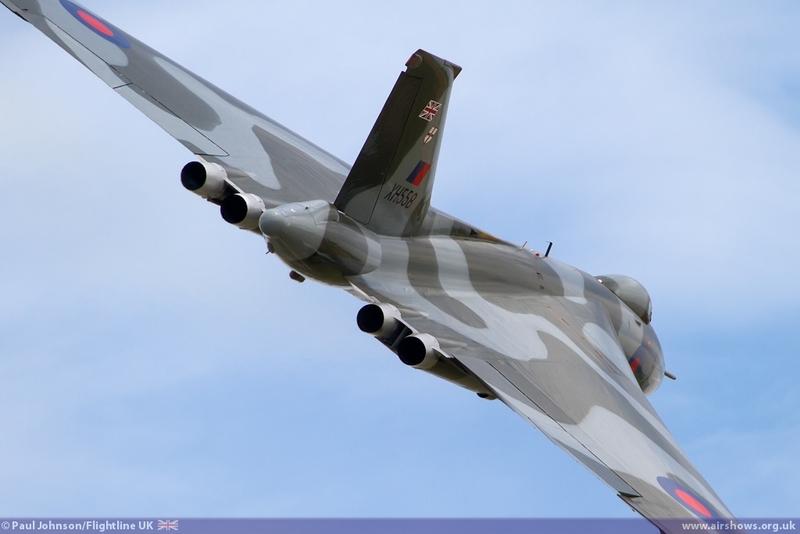 The appearance of Avro Vulcan XH558 has become something of an Air Day tradition, and 2014 was no different with Bill Ramsey and Martin Withers displaying the delta winged bomber in the early afternoon. 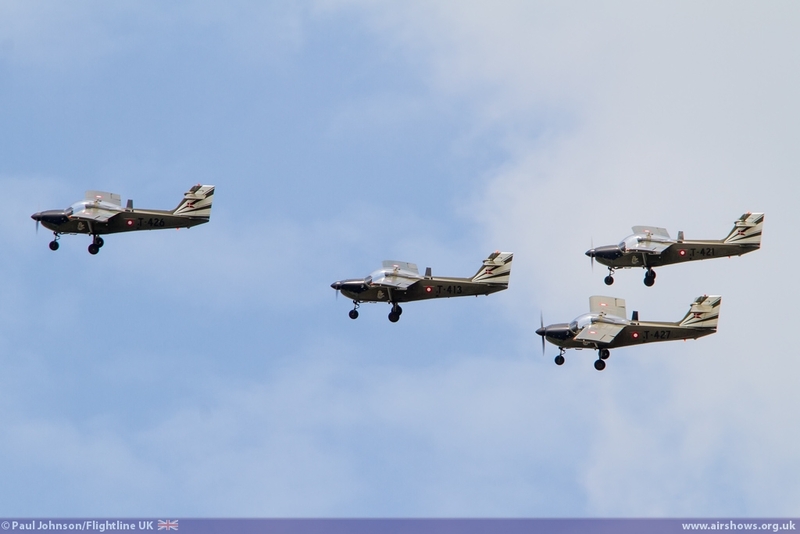 There was a nice selection of very varied civilian displays. 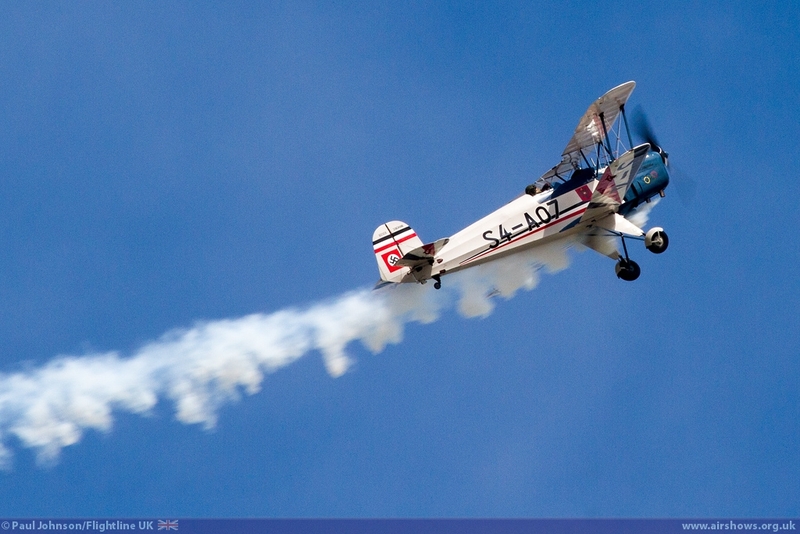 There was a very elegant a beautiful routine of aerobatics from a smart Bucker Jungmann early on in the flying programme. 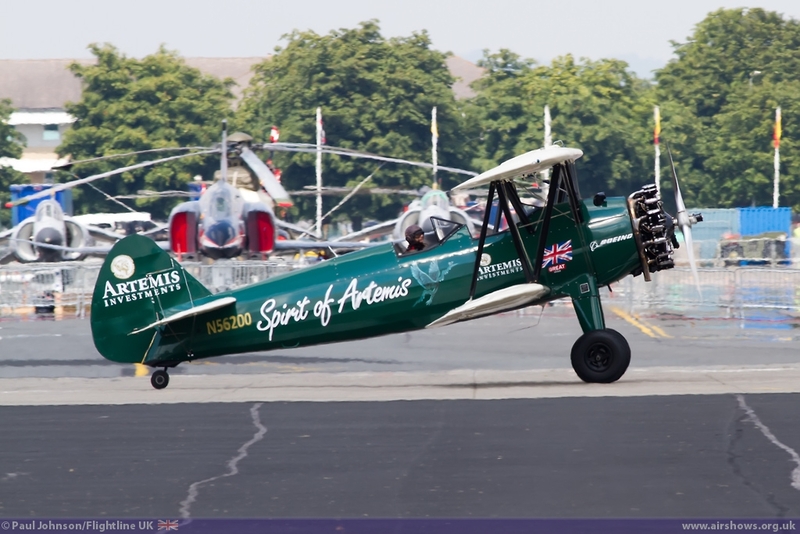 Much more dynamic and aggressive biplane aerobatics came later with Rich Goodwin's dramatic demonstration of his very powerful Pitts S-2S Special. 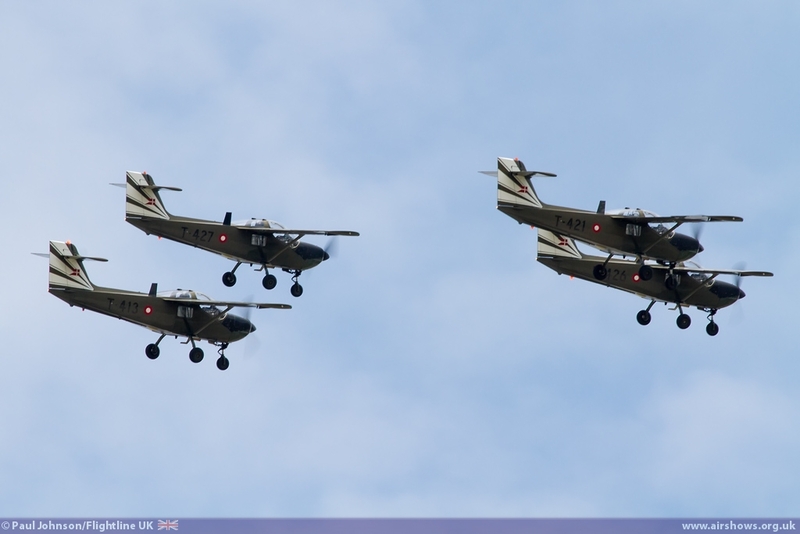 It was also great to see the Yakovlevs back at Yeovilton. 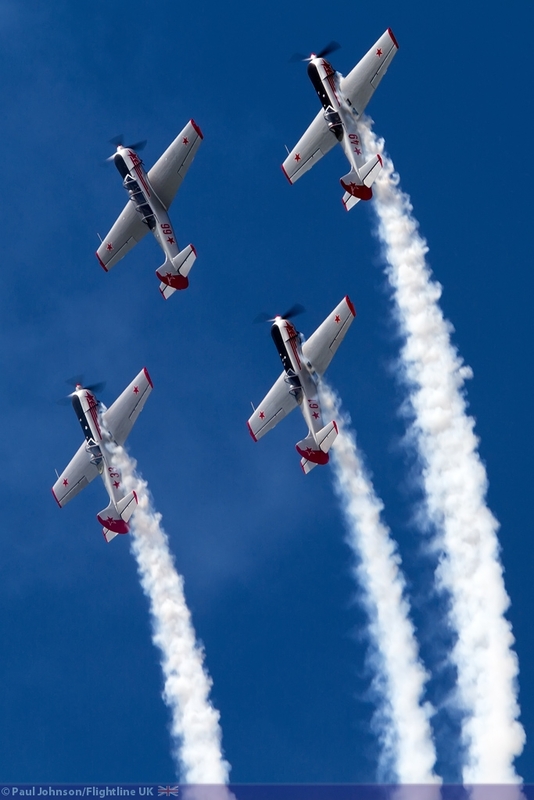 The team, who fly a mix of three Yak-50s and a single Super-Yak-52, are a local team to Yeovilton operating out of Henstridge Airfield. 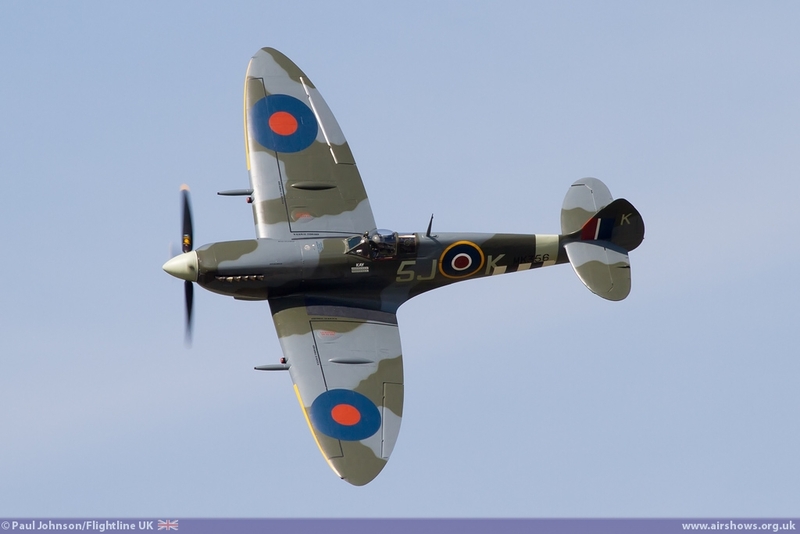 It was not just the jets and modern aircraft that were suffering unservicability. 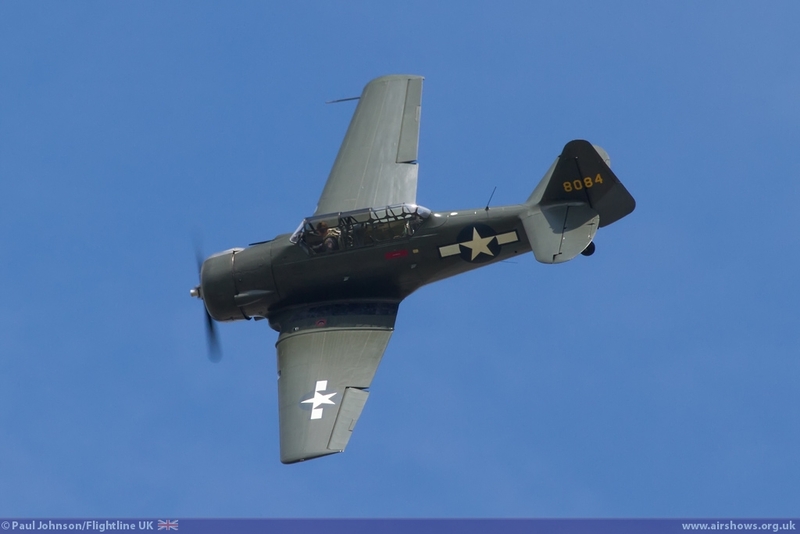 John Beattie gave a lovely display in Kennet Aviation T-6 Texan during the early part of the display in place of the Kennet's Skyraider, itself a replacement for their Seafire XVII! 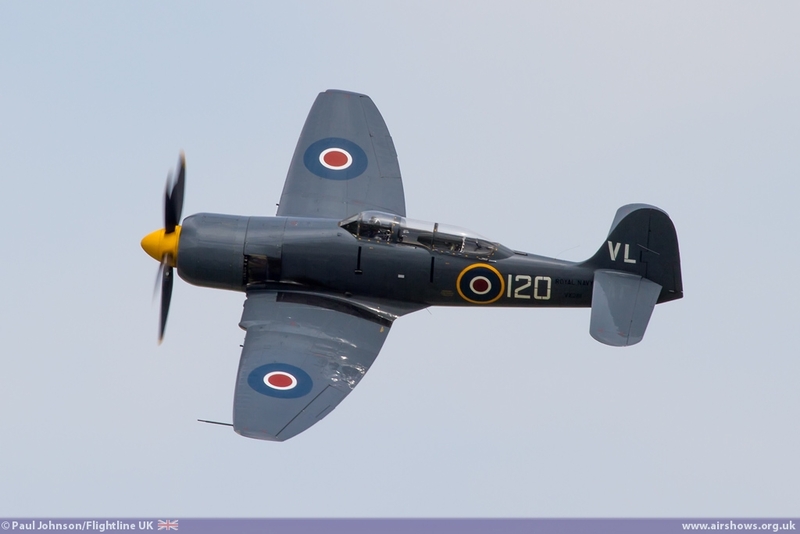 That left just the wonderful Hawker Sea Fury T20 to represent the piston powered fighters flown off Royal Navy Carriers. 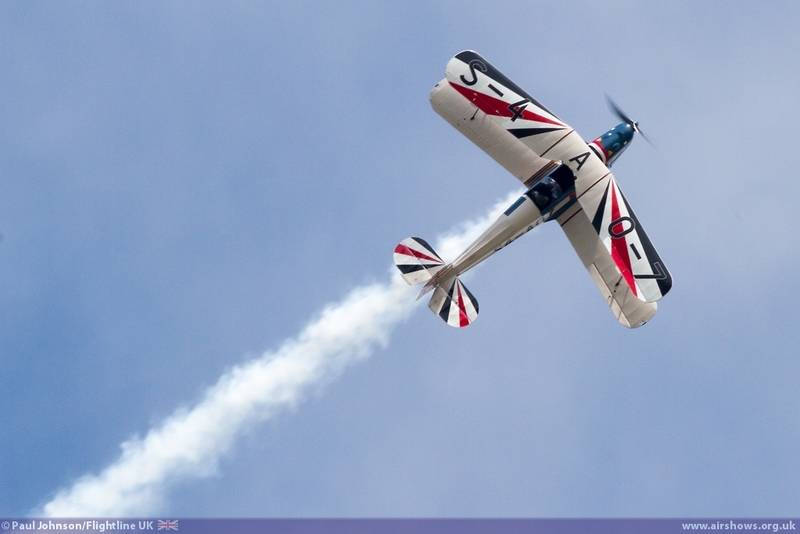 Chris Gotke opened the show in the Sea Fury with a superb smooth display of the powerful fighter. 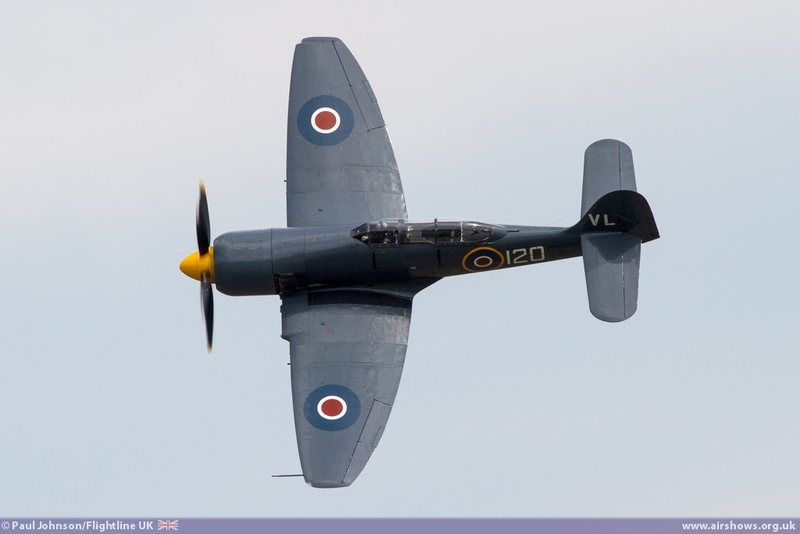 Sadly, just a few days later Chris forced landed the Sea Fury at Culdrose's Air Day following engine problems. 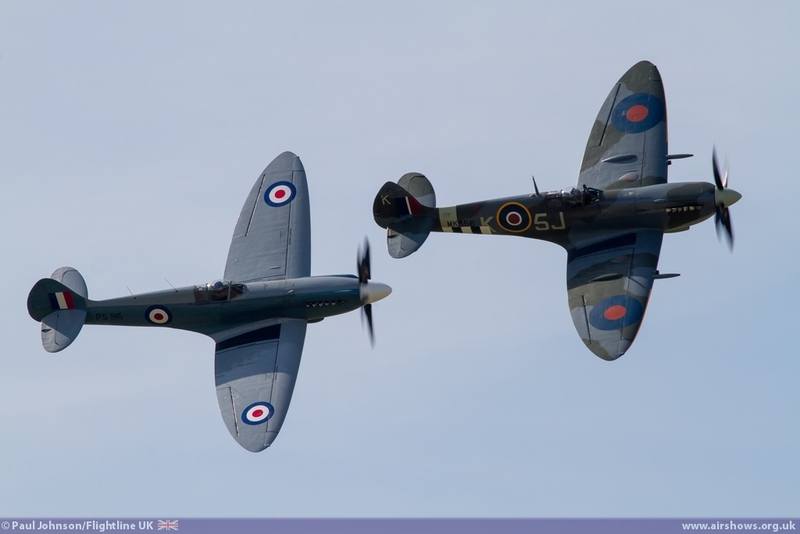 Appearing towards the close of flying was the RAF's Battle of Britain Memorial Flight with the Douglas Dakota III, Supermarine Spitfire IX and Spitfire PRXIX. 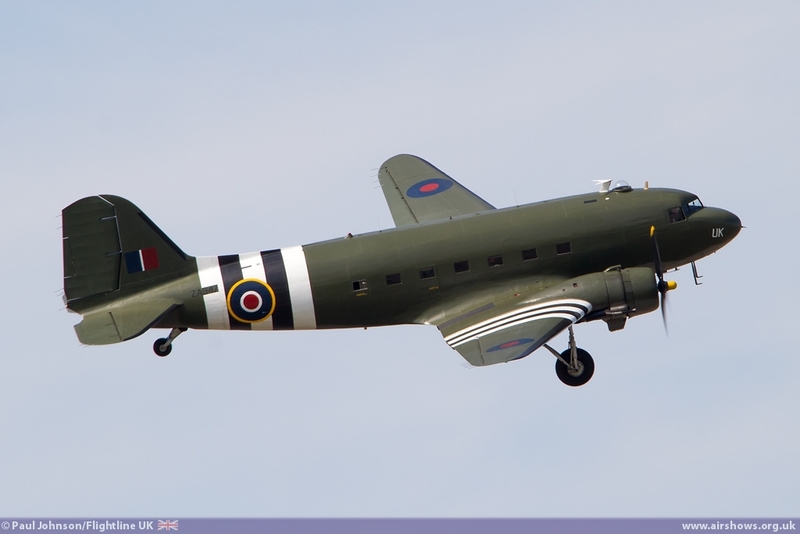 A sub theme of the Air Day programme was the commemoration of the D-Day landings which the Dakota III and Spitfire IX filled nicely. 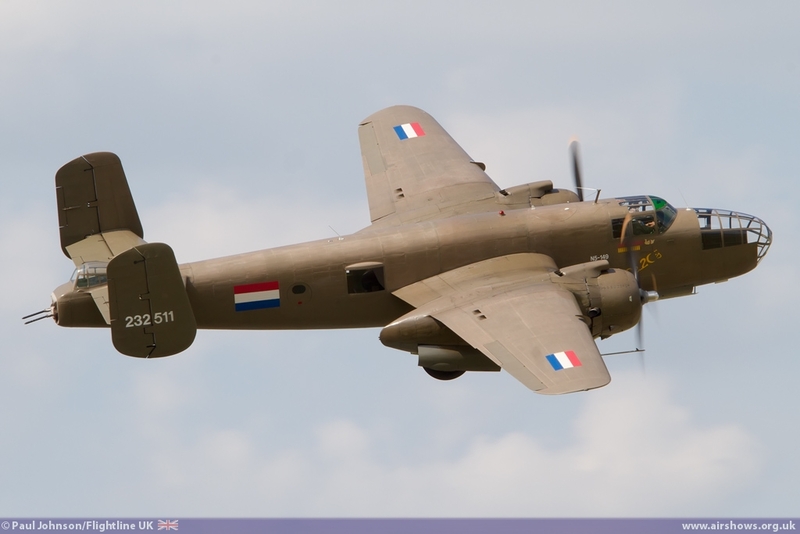 A novel addition for the Carrier theme was the Royal Netherlands Air Force Historic Flight North American TB-25N Mitchell. 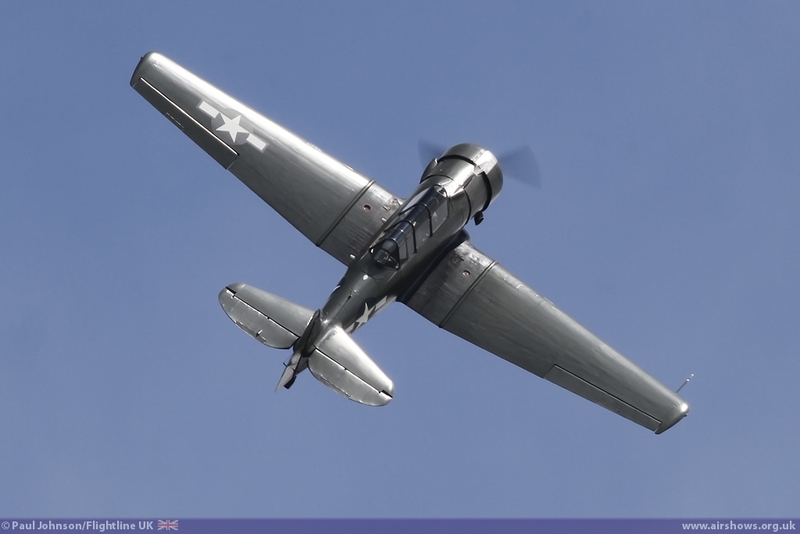 The Mitchell also gives a sparkling display of its power and agility wherever it appears. 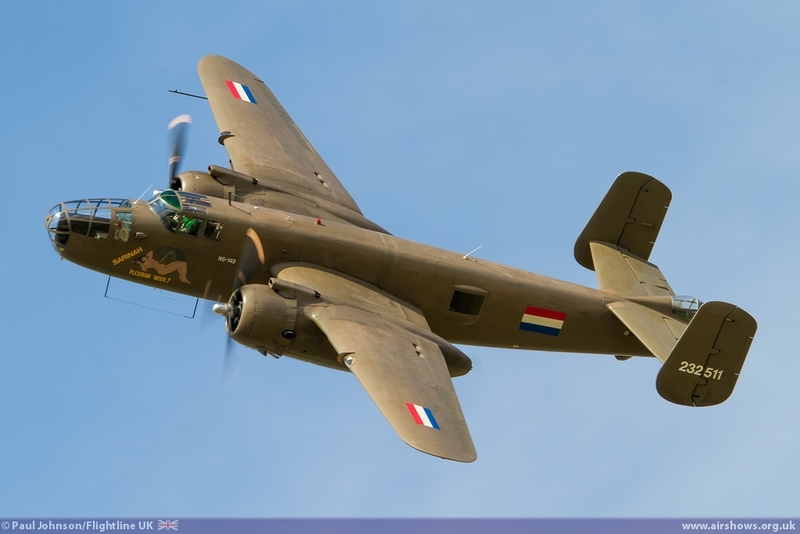 It was a very apt addition as B-25s were flown over the deck of the USS Hornet to strike Tokyo in the aftermath of the Japanese attack on Pearl Harbour. 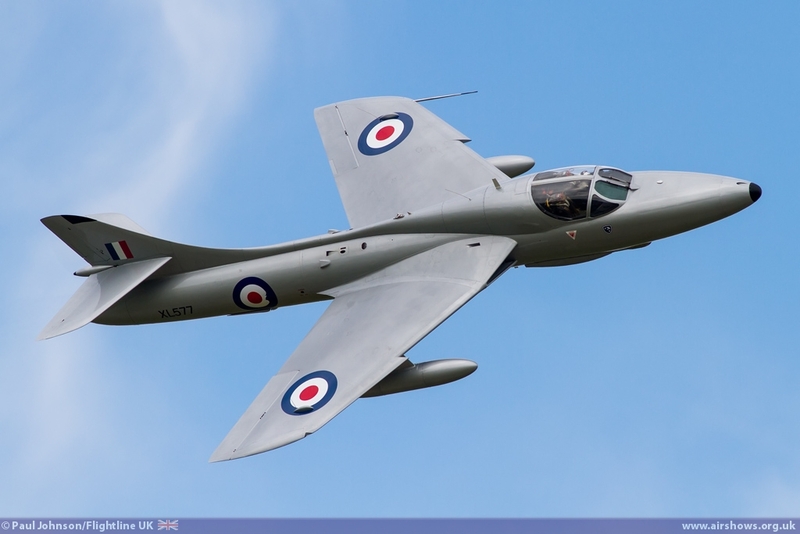 There were plenty of international display acts in the flying with three display teams and two spectacular fast jet displays. 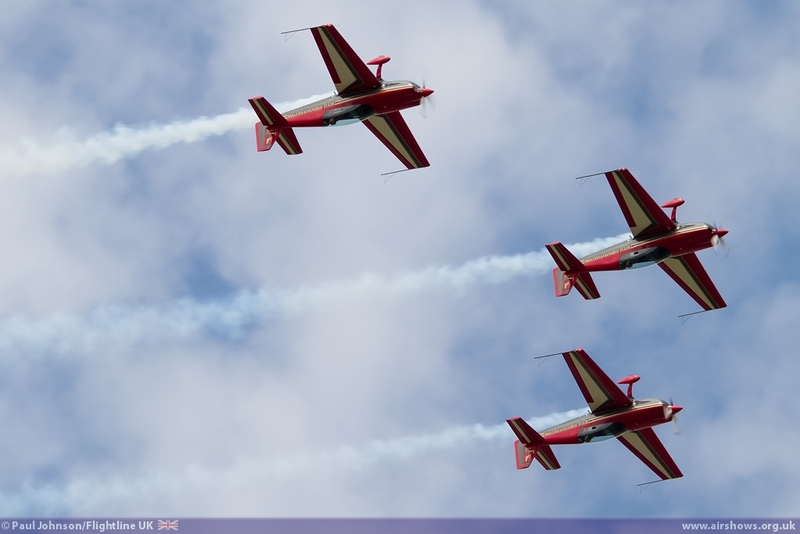 The Royal Jordanian Falcons have become a regular sight at Air Day. 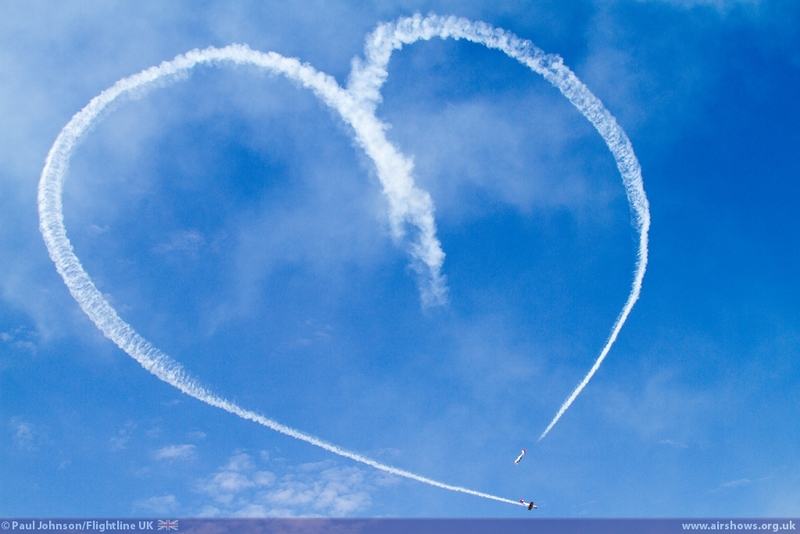 Their display contains some very unusual formation figures including a line abreast slow-roll and negative-g figures. 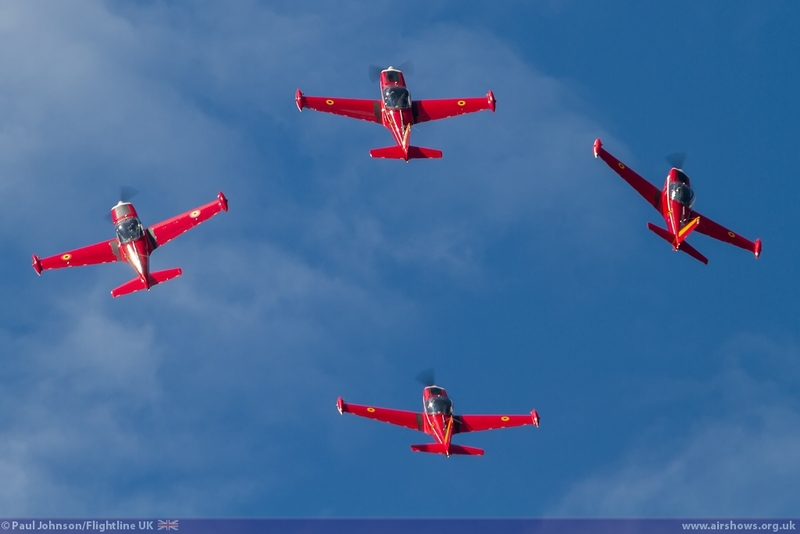 Another familiar team to UK skies, although quite a late addition to the Air Day line-up were the Belgian Air Force Red Devils flying four SIAI Marchetti SF260s. 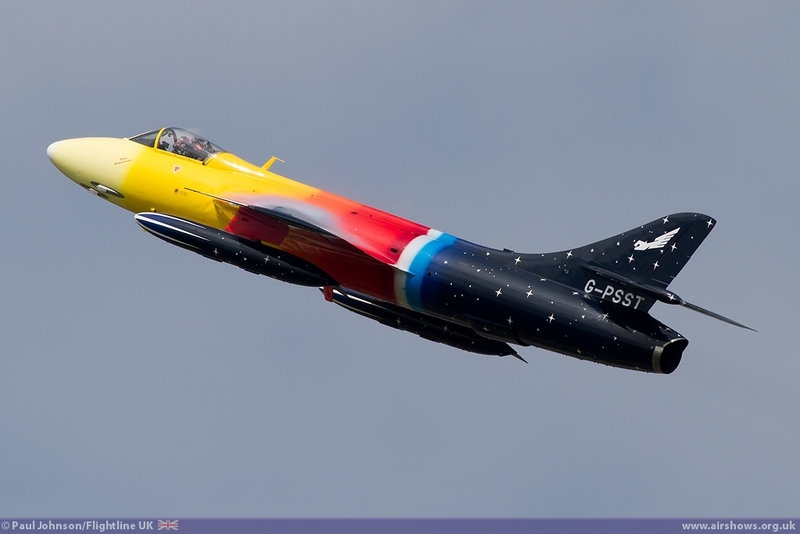 The team were reformed in 2011 to mark the Belgian Air Force's 65th Anniversary but had previously flown the Meteor, Hunter and Fouga Magister in the 1960's and 1970's. Despite the lack of smoke, they perform a very engaging display with some very close formations, opposition and solo manoeuvres. 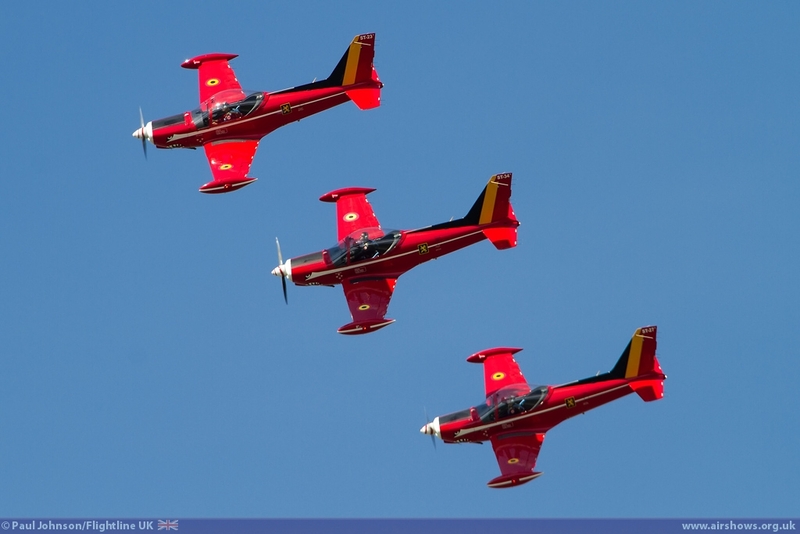 Completing the line-up of teams was the Royal Danish Air Force's Baby Blue Display Team marking the air arms only flying display contribution to any UK airshow in 2014. 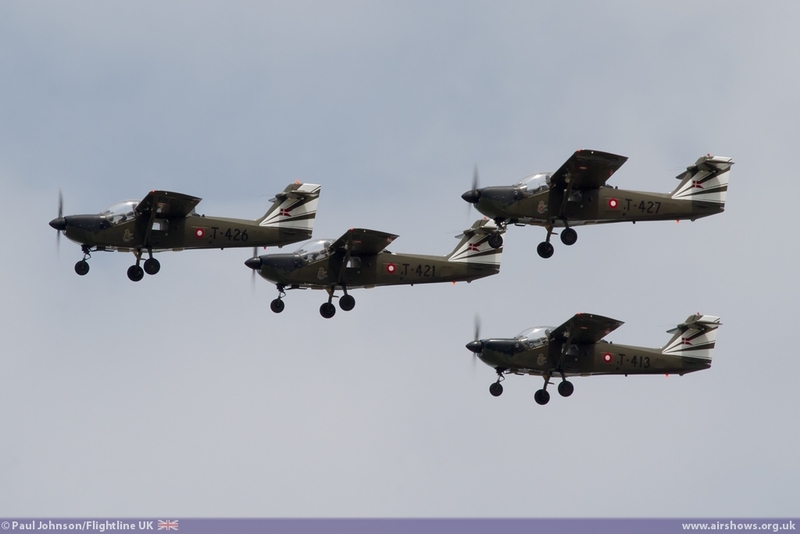 Flying four SAAB T-17 Supporters, the team last appeared in the UK in 2006 at the RAF Leuchars Airshow in Scotland. 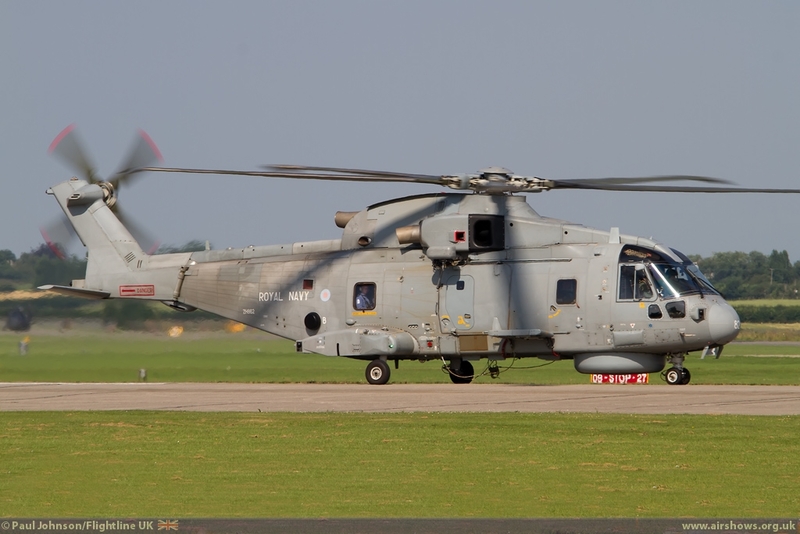 Their transit to the UK was quite severely delayed on the Friday before Air Day and they only made it into Yeovilton in the early evening. 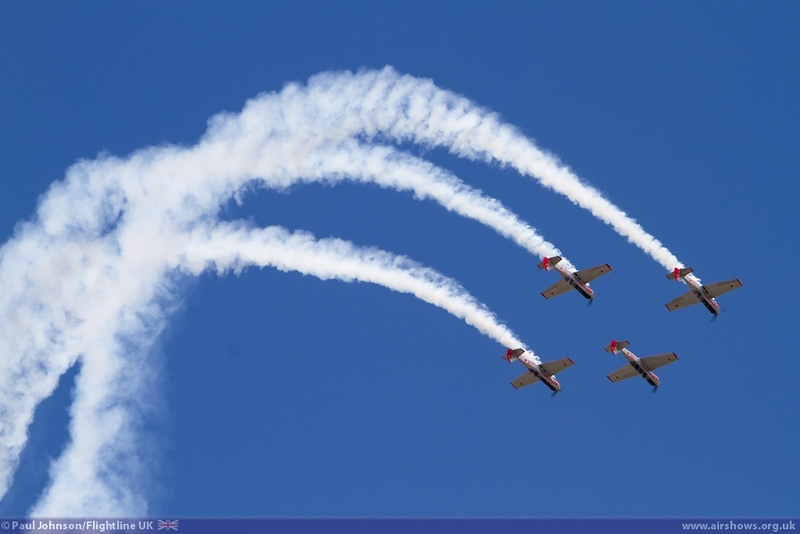 Following an incredibly quick turn-around they were back in the air to validate their routine for the flying control committee - full marks must go to the team for commitment! 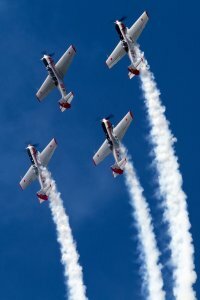 Their routine is not aerobatic like the others and is quite short, but does include a very nice tailchase sequence to close their show. 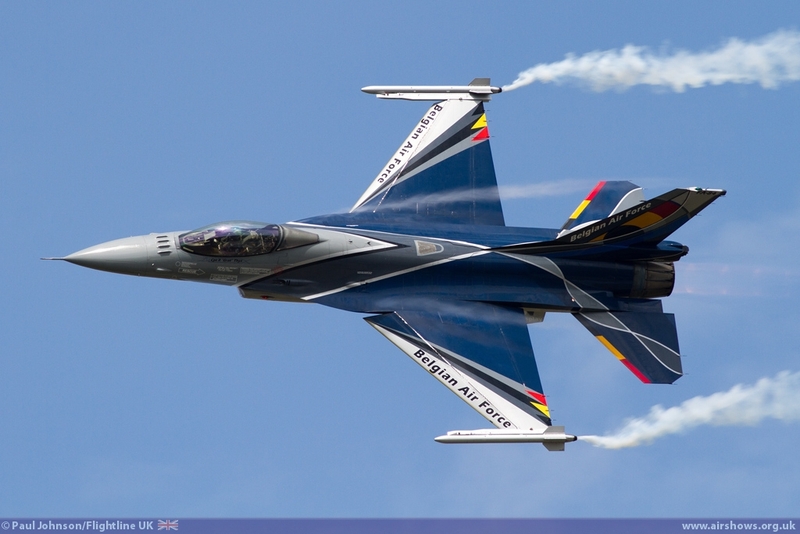 Also from the Belgian Air Force came the F-16AM Fighting Falcon solo display flown by "Grat" Thys. "Grat" is in his final season as F-16 display pilot and his routine this year is perhaps the best of all the European F-16 displays. 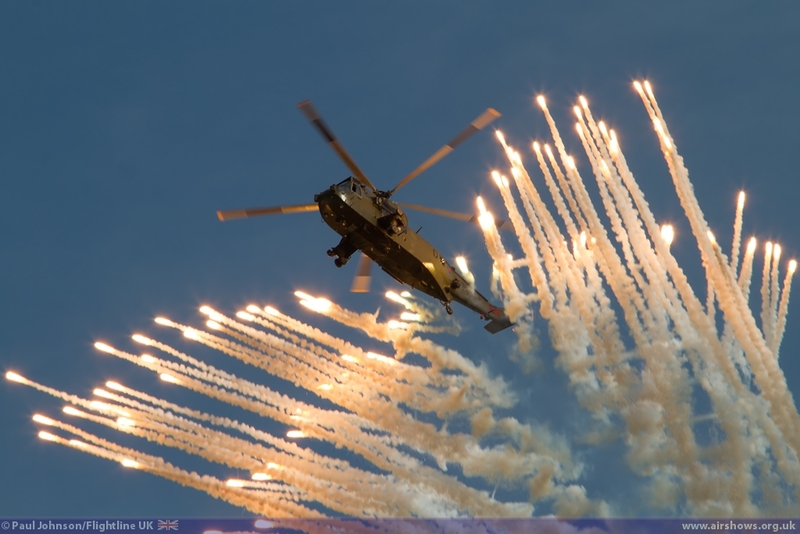 Yeovilton's facilities for accepting armed aircraft also permitted "Grat" to make full use of flares to highlight his spectacular routine. 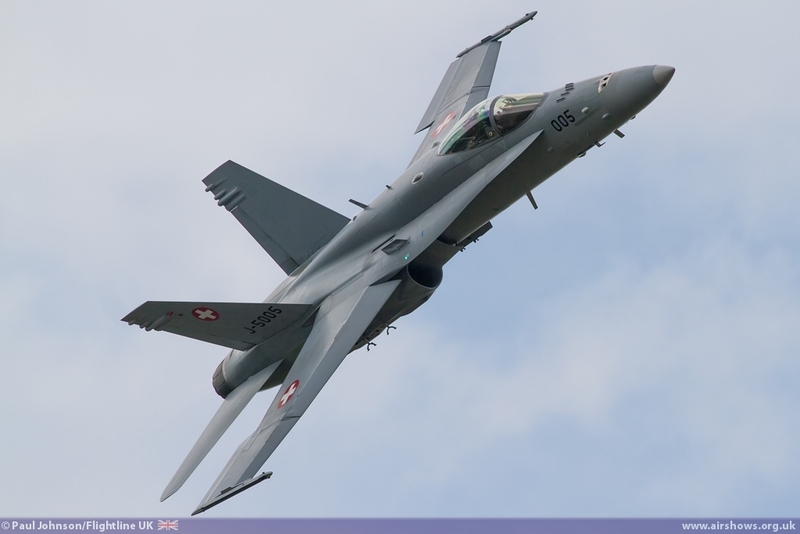 Completing a mini-tour of the big UK airshows was the Swiss Air Force F/A-18C Hornet solo display. 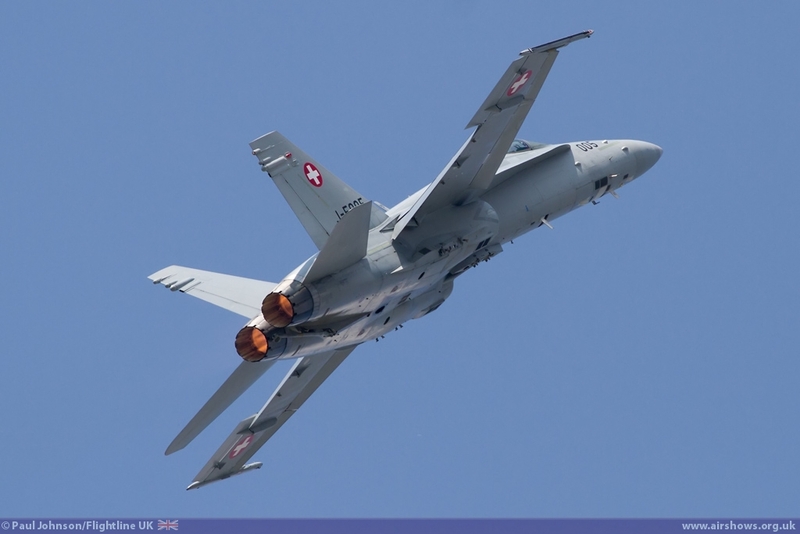 It was third-time lucky for Yeovilton in getting the Hornet and it proved to be a very apt addition to the show presenting a current carrier-based fighter. 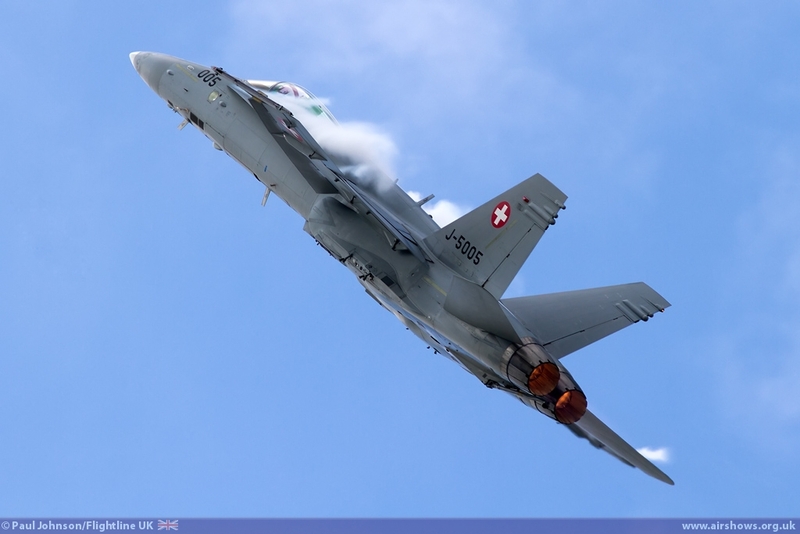 Julien "Teddy" Meister gave a superb account of the Hornet's abilities, not least some incredible high-angle of attack spirals and rolls. 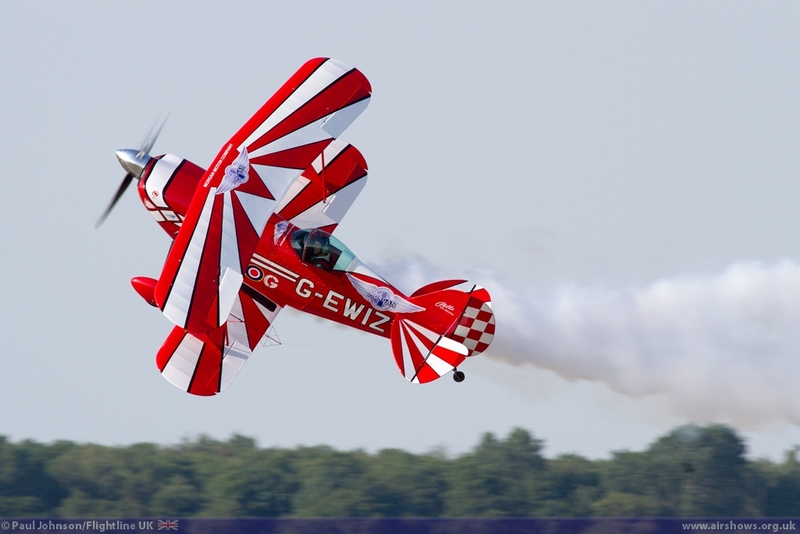 Julien duly won the award for Best Fixed Wing display. 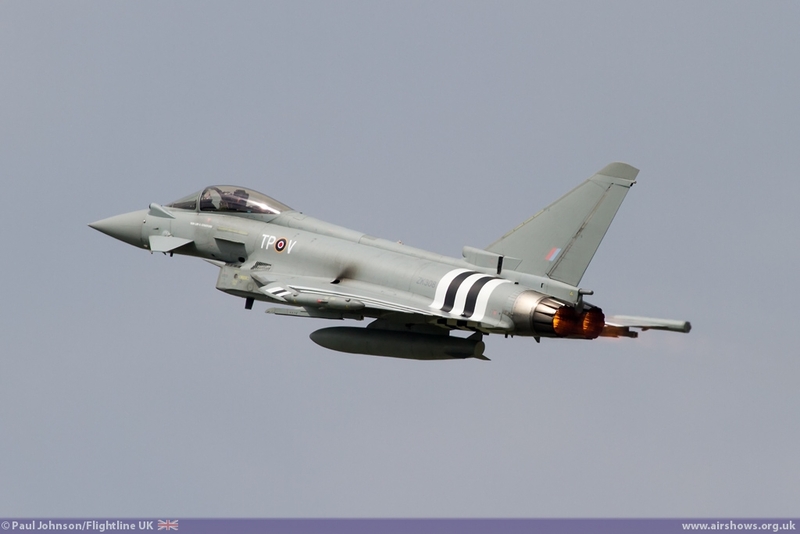 The sole UK fast jet in the flying display was an all-too fleeting appearance by the Eurofighter Typhoon FGR4 from 29[R] Squadron wearing the D-Day invasion strips and Squadron codes of 198 Squadron during the landings. 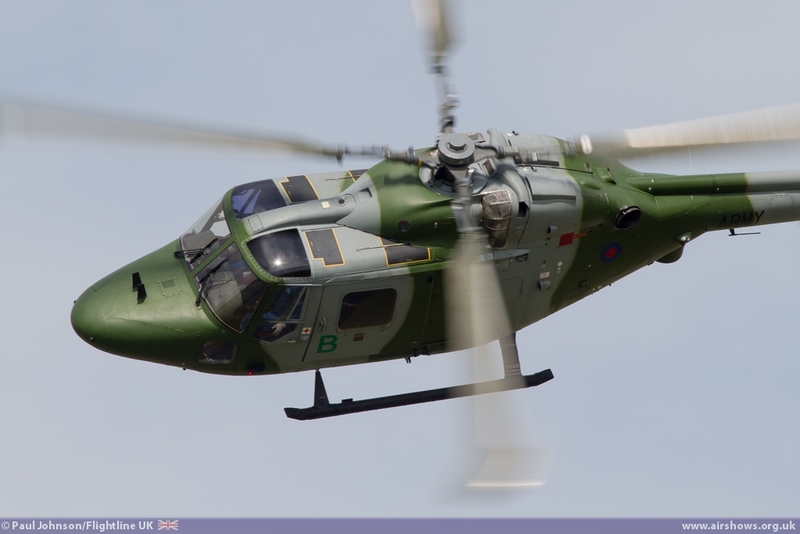 The Army Air Corps also contributed a solo display to Yeovilton with the Middle Wallop based Lynx AH7 flown by WO1 Mick Kildea and Capt Neill Posthumus of 671 Squadron. 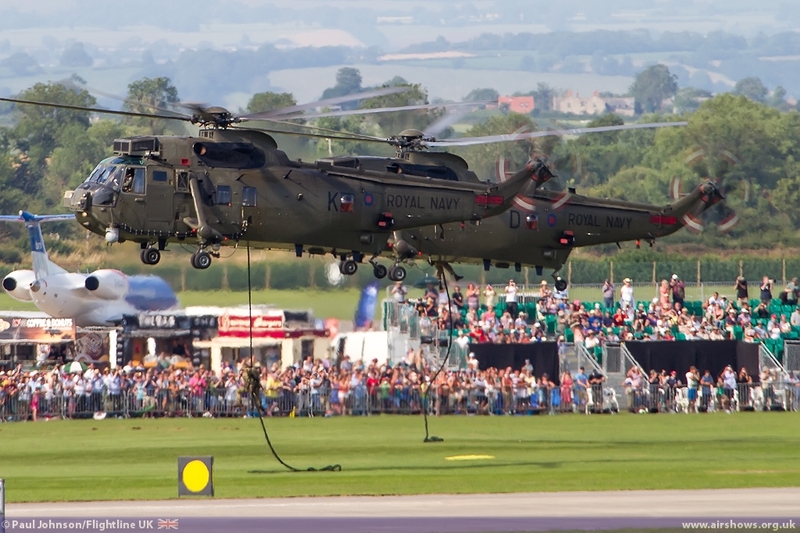 Having already picked up awards at the Air Tattoo, it was great to see their stunning routine picked up Yeovilton's award for the best Rotary-Wing display at Air Day! 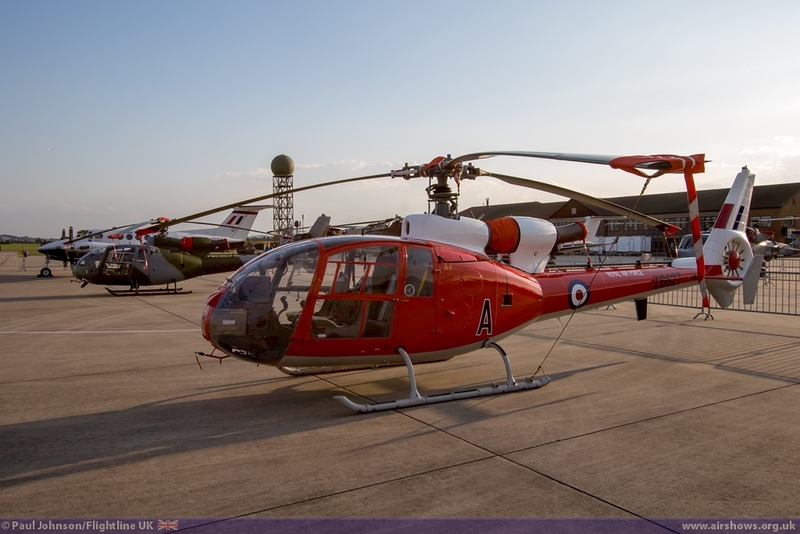 Yeovilton's own fleet of helicopters were much in evidence during the flying programme. 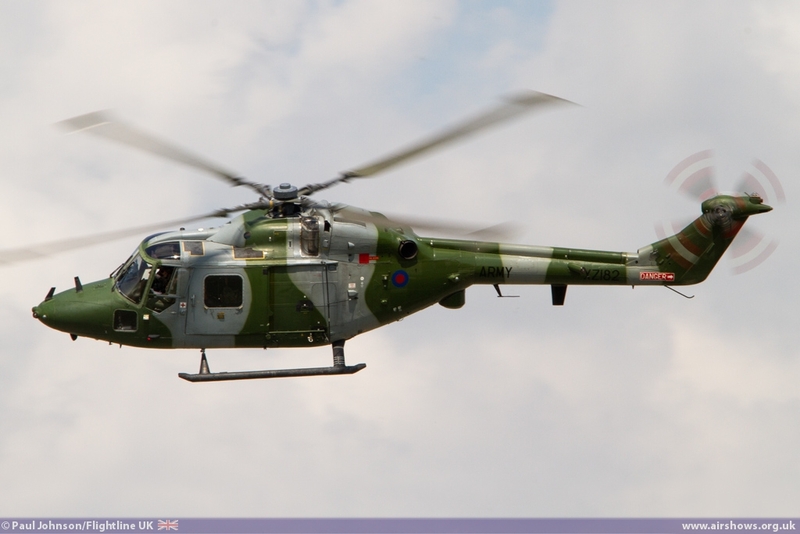 The Black Cats Helicopter Display Team appeared twice during the afternoon. 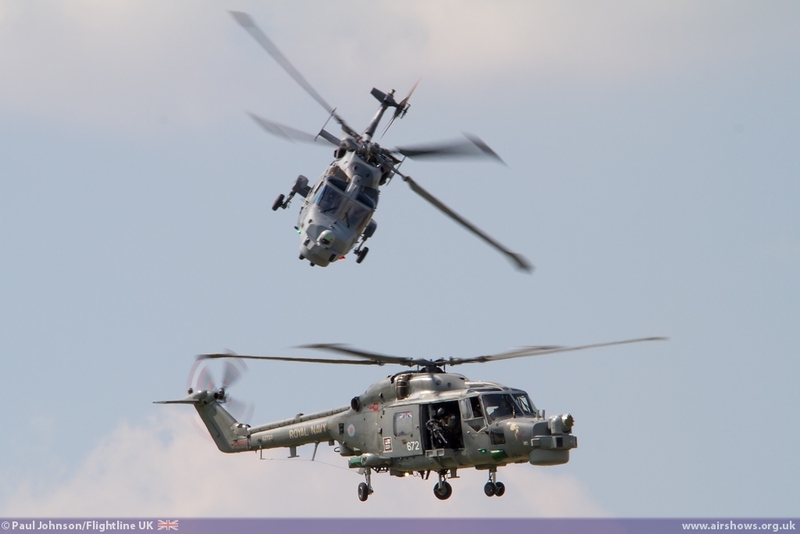 First they presented their new duo routine of Lynx HMA8 and Wildcat HMA2 marking the present and future of the Lynx Wildcat Force. 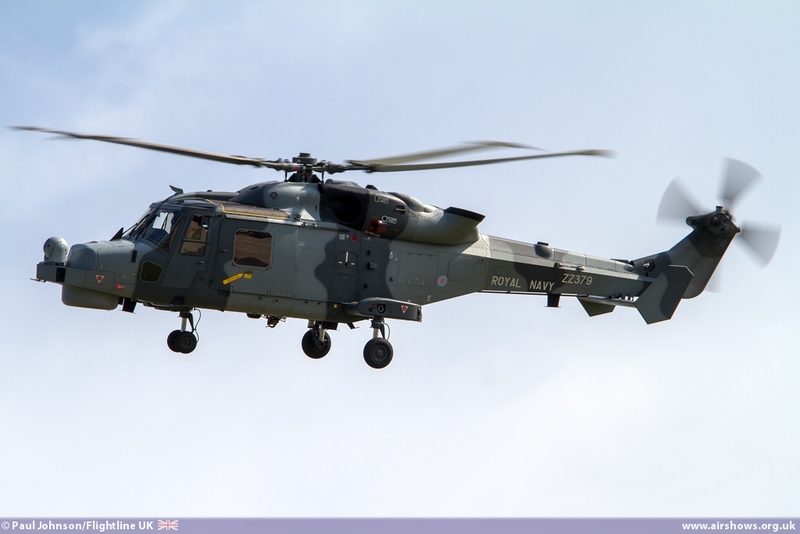 Later in the day, the Black Cats solo Lynx HMA8 display also made a brief appearance to fill some of the gaps caused by cancellations. 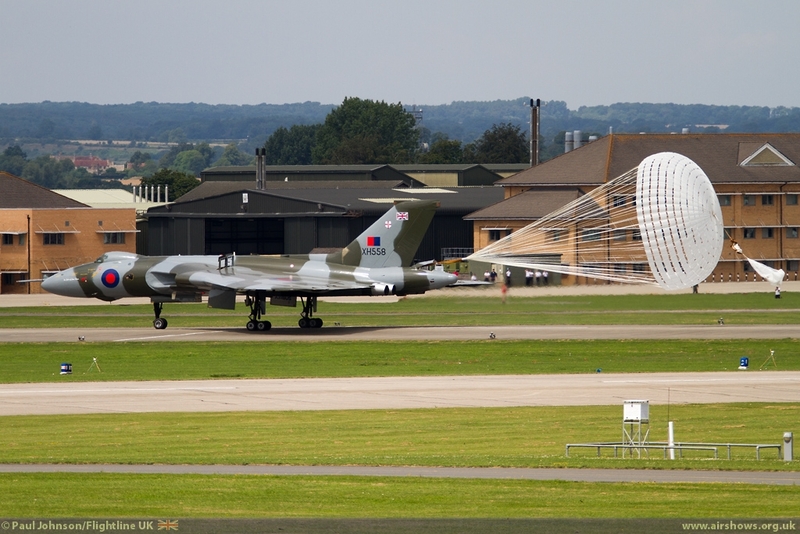 However, it is for spectacular role demonstrations the Yeovilton has earned it reputation. 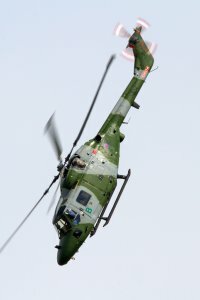 The Lynx Wildcat Force (LWF) traditionally presents its own martime demonstration during Air Day. 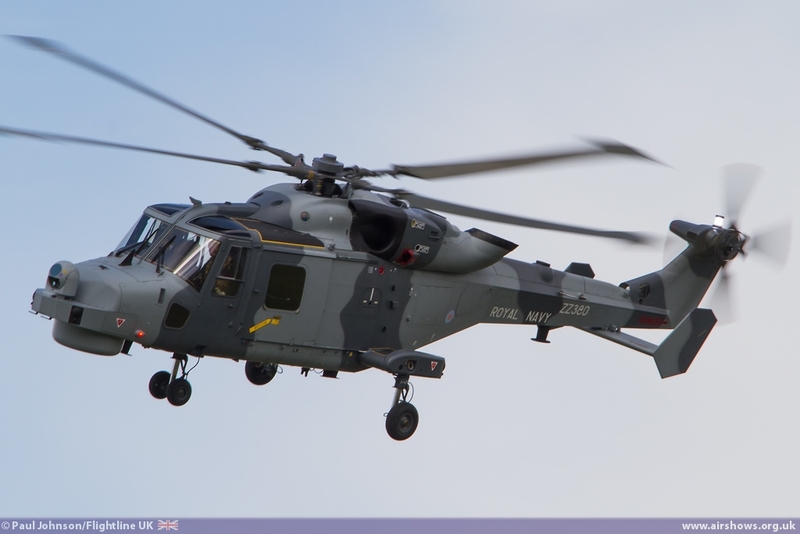 This year the routine featured a quartet of Lynx HMA8 helicopters plus one Wildcat HMA2 in an anti-piracy demonstration complete with speedboat and pyrotechnics! 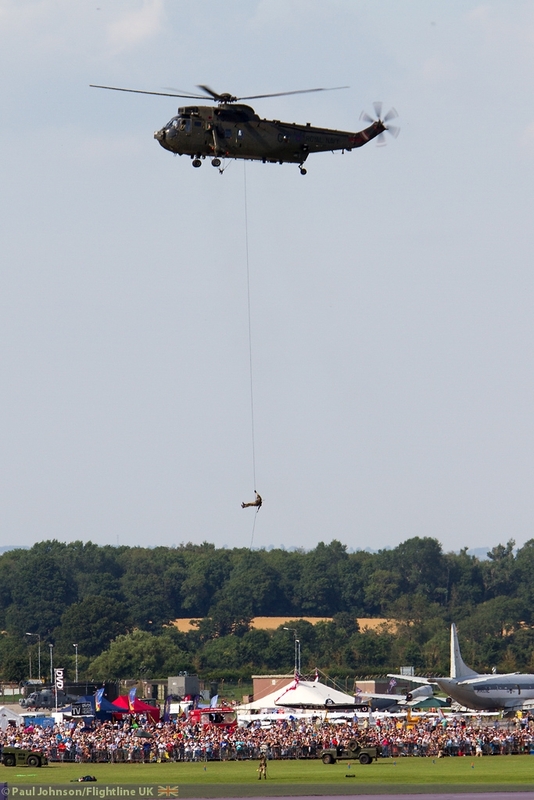 The Commando Assault finale is perhaps the best known aspect of Yeovilton. 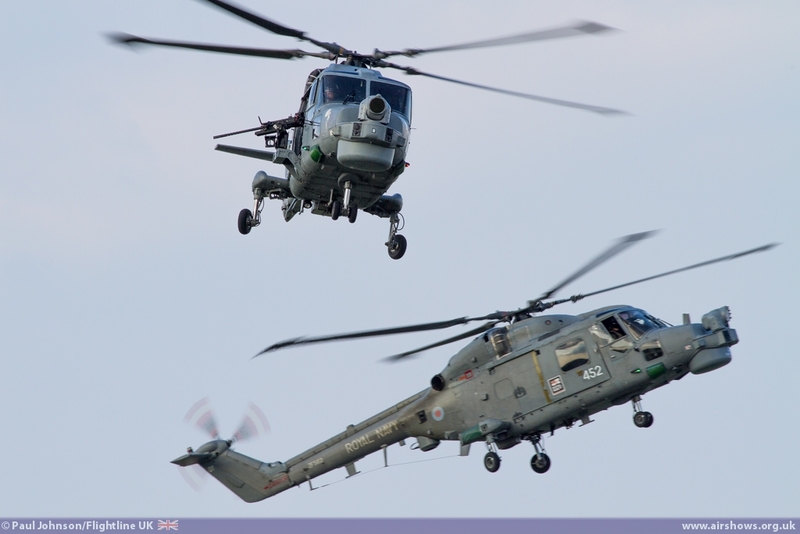 This year, the finale marked the significant transition that the Commando Helicopter force is going through with just four Westland Sea King HC4s backed up by a pair of Lynx HMA8s plus the Army Air Corps with a Lynx AH7 from Dishforth supporting a Wildcat AH1 from the Yeovilton based Army Wildcat Fielding Squadron. 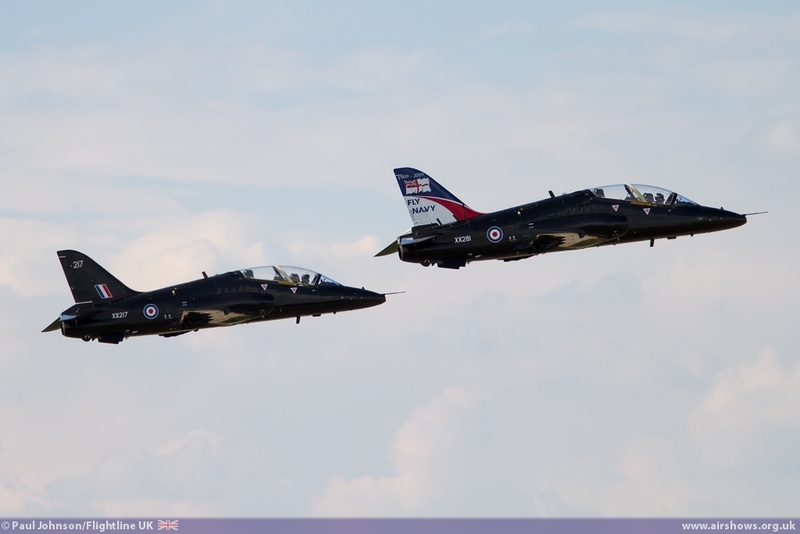 Fast jet support came from RNAS Culdrose based 736 Naval Air Squadron flying a pair of Hawk T1s, though sadly not ones wearing their new squadron markings. 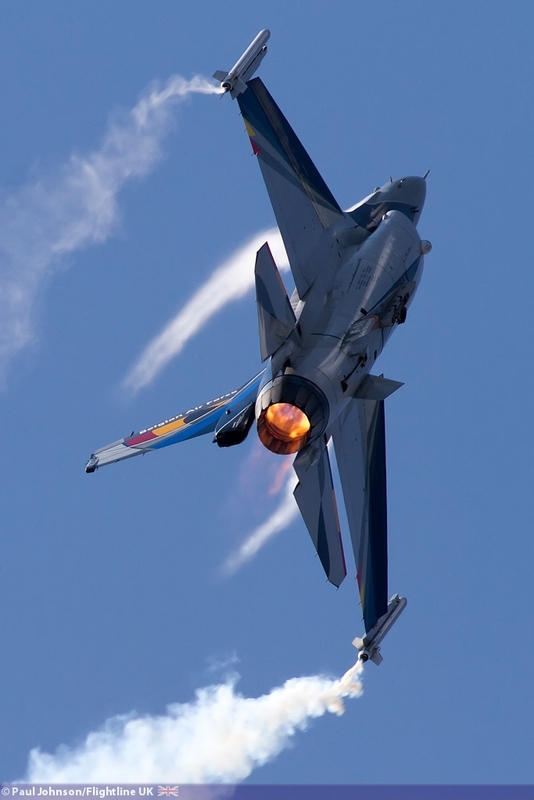 It is always a spectacular end to Air Day, but ending in a slightly confused manner when the "Wall-of-Fire" failed to go-off! 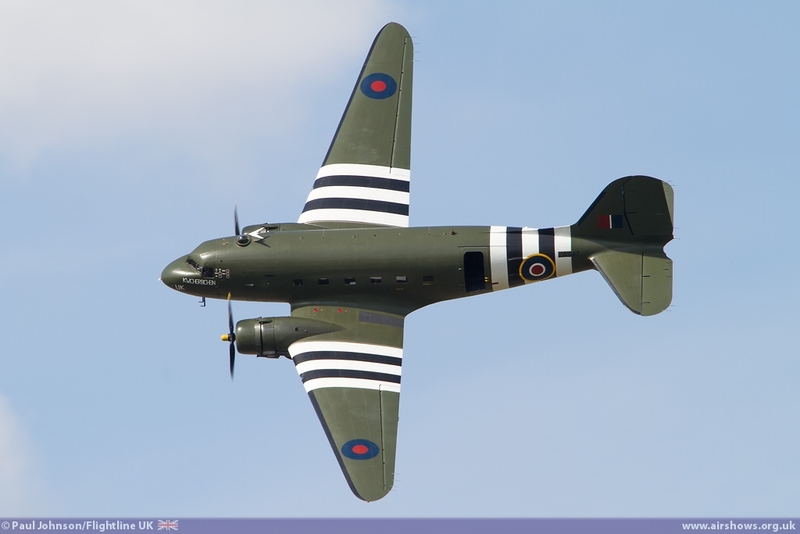 Air Day 2014 was certainly one of the more difficult events for organisers with a glut of late cancellations. 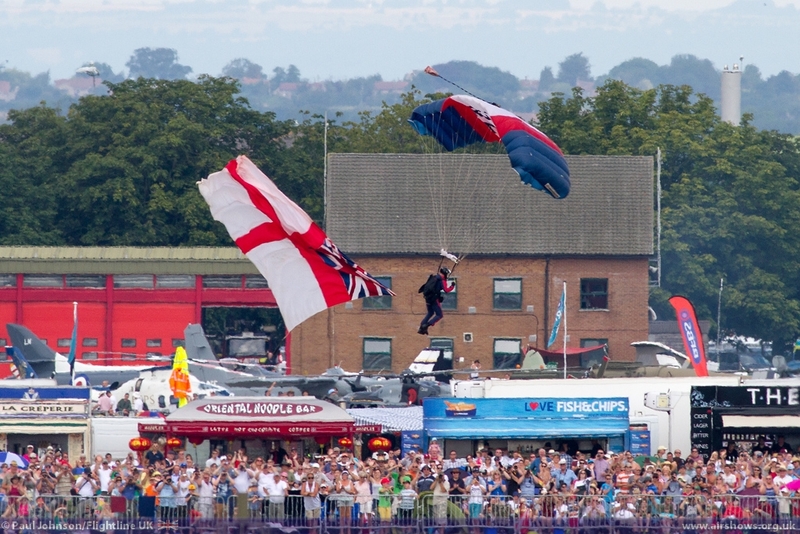 It was however still a great day of entertainment which showed off RNAS Yeovilton and the wider Royal Navy to 30,000 in great style. 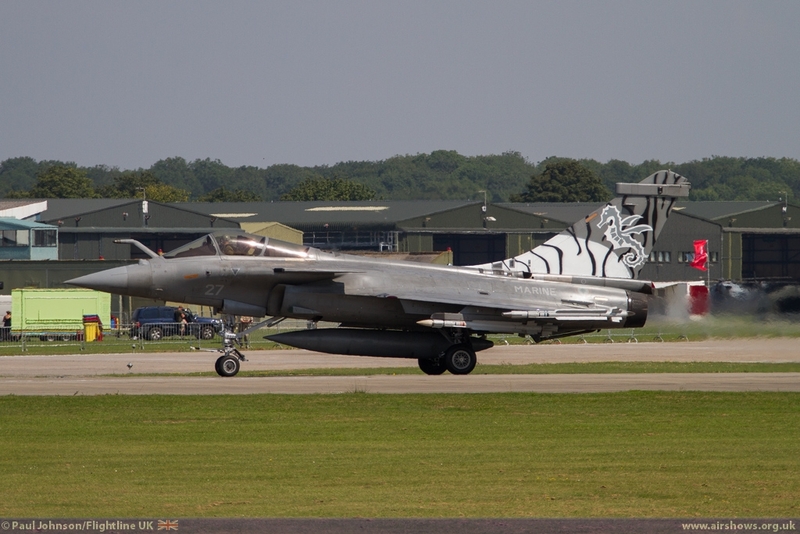 Long may RNAS Yeovilton International Air Day continue as I cannot wait until the next one!